CBA was inundated with projects. One of our projects was to closely examine the progression of movement changes in muscular dystrophy. Muscular dystrophy (MS) refers to a group of hereditary muscle diseases that weakens the muscles that move the human body. Muscular dystrophies are characterized by progressive skeletal muscle weakness, defects in muscle proteins, and the death of muscle cells and tissue. Nine diseases including Duchenne, Becker, limb girdle, congenital, facioscapulohumeral, myotonic, oculopharyngeal, distal, and Emery-Dreifuss are always classified as muscular dystrophy but there are more than 100 diseases in total with similarities to muscular dystrophy. Most types of MD are multi-system disorders with manifestations in body systems including the heart, gastrointestinal and nervous systems, endocrine glands, skin, eyes and even brain. The condition may also lead to mood swings and learning difficulties. The son of our partner, Ken Weinbel, suffered from this debilitating disease so it was a study which was near and dear to our hearts. Whatever we could discover to help this charming young man and share the information with the medical community would be a reward for all of us. The cause(s) and cure(s) were completely unknown and victims could only try to slow the progress and maintain as much muscular strength as possible in order to support the body. On factor was known and this was the pattern of deterioration. The degeneration of the muscles followed a very definite pattern which began in the calf muscle and then progressed upward through the other muscles. Our biomechanical quantification of movement was refined sufficiently well to detect changes in the patient’s gait significantly sooner than other diagnostic tools available then. So we embarked on several trials to verify these findings and to attempt the development of a quantification procedure which would assist the doctors who specialized in this area. We wanted to determine what was the specific progression of the disease and in what way it affected the mobility of the patient. Using biomechanics, we could use two or more cameras to film and compare the walking movements of children with and without the disease. Comparisons of children with normal walking movements to the abnormal pattern of those with MS would, hopefully, reveal some useful results. Our hope was that we could quantify the rate and movement patterns with which the disease progressed. We worked on this project with the Hanover New Hampshire local hospital. After collecting all of the film and digitizing the data, I would meet with Tom Sullivan who was the night director at the computer room in the University of Massachusetts. Normally, all computer programs would only be accepted between 8 o’clock in the morning until 11 o’clock at night. There was no access to the computer during other hours. However, Tom was a humanitarian who was interested in helping find a cure for this terrible disease. We arranged a system that when I knocked on the appropriate office door, Tom would process the batch programs with thousands of cards even if it were at 2 o’clock in the morning. By running my data in the middle of the night, I would have the results quickly. Without this assistance, I would have to wait some times as long as two days before I could have the data processed. Interestingly, Tom was an innovator himself. I recall one of our discussions in 1972, after I returned from the Olympics, about his ideas about the potential of hydrogen fuel for cars and using solar energy for electricity and heating. One late evening or more correctly in the middle of the night, I invited Tom to meet Ann and I at the Yankee Peddler for lunch the next day. I would treat him to an excellent meal as a “thank you” for all of his assistance with the data processing. I told him to bring the computer outputs with him and save me a trip to the computer center. Tom arrived for lunch with a huge stack of papers. We began a discussion about one of the comparisons among different trial results for Ken Weinbel’s son. I showed Tom how the gait data indicated the rate of his deterioration. While we were enjoying our lunch and discussing the latest information gleaned from our biomechanical analysis on Ken’s son, I was only vaguely aware of the other dining patrons. We were just in the normal buzz of a lovely restaurant where conversations percolated. I barely noticed the three gentlemen sitting at the table beside us. The few words that reached our table had to do with bank functions and numbers, but I was not interested in ease dropping on their conversation anyway. “Excuse me for intruding,” one of the gentlemen interrupted us “but did you say you analyze muscular dystrophy?” he asked. “Yes,” I replied and began to explain what we were doing. The gentleman had a focused expression on his face and an air of authority. He concentrated attentively and intensely to my answers and asked many probing questions regarding the procedures we used. Suddenly, he apologized for not having introduced himself and told us his name was Larry Graham. His interest in the subject, he explained stemmed from his position of president of the Holyoke Hospital and his extensive involvement with the Shriners’ Burn Hospitals throughout the country. He described his current activities following the sale of his disposable paper product manufacturing business some years earlier and that, currently, he was primarily focused on his extensive volunteer efforts. For example, his position as the Holyoke Hospital President was for a yearly salary of one dollar. He still owned the local bank in South Hadley, Massachusetts, a nearby city, but that was so his daughter at Mt. Holyoke College could cash her checks. He invited us to join their table, which we did. We each described our backgrounds and our current activities. Tom told him about his position at the computer center and how he helped me with many of my computer projects. I told him about my history from Israel and my progress up to and including the recent Munich Olympics and my travels to East Germany. Ann told him about her work on the nervous system in her graduate studies and the on-going efforts at our company, CBA. He asked if he could visit our office so we could show him the methods we used and some of our current projects. I advised him that I worked from home and although I used state-of-the art science and advanced computer technologies, my desk is located in my kitchen. He shrugged off this situation and pointed out that the ideas and concepts we were exploring were more important that the physical environment. We agreed to meet two days later. That Thursday afternoon in October, 1973, Larry knocked on the door of our small house in Belchertown. 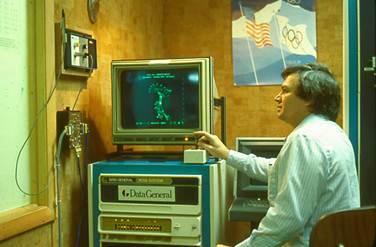 Ann was digitizing data from the 1972 Olympics. I was on the teletype connected to the University computer. As usual, we were working diligently. Larry looked around and was oblivious to the fact that the office was in our kitchen. He carefully examined some of the publications, data sheets and the digitized results and graphic presentations which were taped onto the wall. Then we took him downstairs and described the procedures of analyzing the Universal machine which was sitting next to a window overlooking the lake. He was so engrossed in our activities and scientific methods that he failed to notice the beautiful view just steps away from where he was standing. He carefully noted all the cameras pointed at the Universal gym equipment. He was very thorough and asked many questions so that hours seemed to fly by in an instant. Initially, Larry wanted to examine our books and corporate records, meet our partner, and evaluate where the most appropriate office location would be. After he examined our check books and financial records, he learned that we very messy but, in spite of that limitation, he could see we were already profitable. The next step was to meet our partner, Ken Weinbel, and then we would all decide what should be the next step. If all went well, Larry said that he wanted to find an office in a better location and he would purchase all the equipment that we needed as part of his investment. The next step was to drive to Hanover, New Hampshire to meet Ken Weinbel. Although Ken was my first and current partner in CBA, at one point in the past, we had anticipated adding my professor, Dr. Stanley Plagenhoef. Ken and I had incorporated CBA in New Hampshire during the 1971 summer break so when school resumed in the Fall, I had been very proud to announce this development to all our my friends and teachers. My friends were happy for me but skeptical since all were doctoral students and their interests were more on their own studies and a future in academia. This was the same general response from the faculty members except for one man. Dr. Plagenhoef was outraged that I had started a biomechanics company without his approval and involvement. I was so stunned by his reaction I was momentarily speechless. His reasoning was that I was his student and was not allowed to have a company in the business of biomechanics without his participation. I told him that he was more than welcome to be involved and that, in fact, I had eagerly anticipated that he would want to be a part of the company. For the next few months, Dr. Plagenhoef traveled with me to Hanover and he participated in the analyses of many of the sporting events that we had filmed in Munich. In addition, he worked with us on a project with Uniroyal shoes. Times were tense at CBA whenever Dr. Plagenhoef was in the office. He was a stubborn, rude individual and treated the people helping in the office with distain. In Amherst, at the University, his behavior was equally unpleasant particularly towards me. He also recruited one of the other faculty members, Dr. Ricci, in his web of hostility. Until that time, Dr. Ricci had been very warm towards me and my family. In fact, when I had first arrived in Amherst, Yael, Geffen, and I felt as though we had been adopted by Dr. Ricci. How this reversal of attitude could occur was unfathomable at the time and remains a puzzlement today. CBA continued to use the computer system at the University of Massachusetts as well as the one at Dartmouth College in Hanover. One day, as I walked through the maze of engineering offices that separated the parking lot from the computer center, I noticed a computer-generated output from our office in CBA. I was shocked to see that Dr. Plagenhoef’s name was on the output, so I asked the young man standing beside the table what it was. He responded that he and his professor were working on a prosthetic hip project for Smith-Kline and that Dr. Stanley Plagenhoef’s company was providing three-dimensional walking data to them. He was struggling to try to determine why the forces were not correctly aligned. I explained that the data was not three-dimensional since, at that time, it was impossible to calculate all of the orthogonal axes needed. What the data actually presented was two separate walking motions taken in sequence with each single motion representing a two-dimensional result. It would be impossible to combine two separate actions into a three-dimensional representation. Therefore, his efforts would never align the forces. I confronted Dr. Plagenhoef as soon as I was able to track him down. He was as inflexible as always. He did not care that the professor and Smith-Kline were being misled with the data which he deceptively offered as three-dimensional. “You know it is not three-dimensional; you are lying to them. It is worse than that”, I insisted “because they are working with a reputable medical company on a hip replacement which will be put inside some innocent person’s body.” I was outraged by his immorality. He was unmoved and left the room without another word. Apparently the matter was moot. Shortly thereafter, Ken and I discussed the advantages and disadvantages of including Dr. Plagenhoef in our company with a third of the shares. 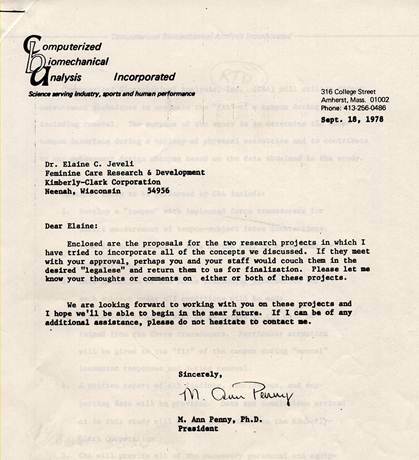 The advantages were that he had quite a positive and international reputation in the field of biomechanics and he had already demonstrated that he could attract paying projects since we had worked on Uniroyal and the Smith-Kline with him. The disadvantage was his difficult personality, his questionable ethical behavior, and his proven track record of keeping the project money rather than putting it into the company. Finally, Ken and I decided that his positive contributions were greater than his limitations. Ann was opposed to giving any shares to Dr. Plagenhoef since she felt that we did not owe him anything. She appreciated his contribution to our knowledge and for having been our teacher, but she continued to doubt his ethics and veracity. Her opinion was that if he could deceitful once, there was nothing to prevent him from being dishonest again. None the less, Ken and I decided to meet Dr. Plagenhoef in a restaurant in Putney, Vermont since it was a good half way point between our homes. The meeting was another one of those jaw-dropping shocks that I should have anticipated. Dr. Plagenhoef insisted on owning the majority of the shares, Ken Weinbel would have only a few token shares because of his financial investment, and I was to have zero shares. I would be allowed to work on projects, when Dr. Plagenhoef felt that I could contribute. Ken and Dr. Plagenhoef began to argue and shout at each other to the bemusement of other diners. Finally, I mentioned that I was the youngest one of the three and yet I was the only person at the table who was acting like an adult. This statement brought the conversation down to a normal sound level. Finally, Ken and I told Dr. Plagenhoef that we would discuss the situation and let him know what we decided. After Dr. Plagenhoef left the restaurant, without contributing any money to the cost of the meal, Ken and I agreed that Dr. Plagenhoef would not be a positive or contributing factor to CBA. In fact, it had become abundantly clear that his goal was to take over our company and dispatch us as soon as he found ways to accomplish this feat. It was quite a relief that both of us saw the same perspective and were readily able to agree that Dr. Plagenhoef would not be joining us. Now, we were ready to entertain the possibility of Larry Graham becoming a partner in CBA. We met in Hanover, New Hampshire at Ken’s home. Everybody was enthusiastic about growing and having someone with Larry’s business connections and skills to work with us. We decided to share the company, one third each between Ken, Larry, Ann and me. Thus, we embarked on the beginning of a new phase in the growth and development CBA. Before officially becoming a partner, Larry wanted to conduct a due diligence study with an independent company to gauge the upside potential of CBA. Larry recognized that, like most inventors who own companies, I was a dreamer and what could sound like a good idea to me may not have commercial value. Larry’s intention was not only to create a better, more competitive company, but to make sure that all of our efforts would be rewarded with profits and be able to stand on its own merits. Ken Weinbel was acquainted with a graduate program at Dartmouth College which studied the viabilities of companies. 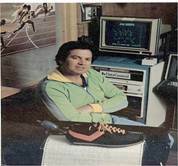 He contacted one of the professors, Cliff Lewis, who taught the course and who also had his own company, Marketing Communications Inc. Cliff was more than a little curious about a foreign Olympic athlete starting a company whose purpose was to measure motion. He readily agreed to study our company and assigned it top priority as a graduate student project. The person in charge of the research was Professor Bither at the Amos Tuck School, which was a leading professional school at Dartmouth College. These two groups and their students spent an entire semester researching CBA. They examined the potential products, companies, and financial likelihood of success as well as of failure. 1. CBA represents the first incorporation to bring biomechanical analysis to commercial usefulness. 2. The market potential was unlimited. Biomechanical analysis could be used wherever forces are applied in a biological link system, i.e. animal, human, horse, etc. 3. Commercial uses could include the entire market for: (a) athletic equipment design (e.g., ski boots, special shoes, golf clubs, tennis rackets, etc. ); (b) safety equipment design (e.g., automobile air bags); Insurance claims (especially with disability related to real or fraudulent causes); (c) designs for artificial limbs; (d) surfaces modifications where the human body interfaces (e.g., shoes, floors, etc. ); and (e) educational opportunities (e.g., clinics for golfers, tennis players, ballet dancers, or other sporting events. Larry was very impressed with the results of the study and with us as individuals. He realized that CBA was a potential gold mine and decided plunge into our exciting adventure without delay. In just a few weeks, Larry found an office for us on Route 9 near Amherst College which was one of the five institutes of higher learning in the town. The space was between a sandwich shop and a paint store at 316 College Street. We had a reception area separated by a wall from the rest of the office. Behind the wall was the digitizing and computer area. The remainder of the office had desks for staff and computing, two large testing areas, a conference room, as well as showers and bathrooms. We could conduct any number of research projects within the different areas and, particularly with athletes, provide a place to change clothes and clean up. Larry’s investment in us was substantial. 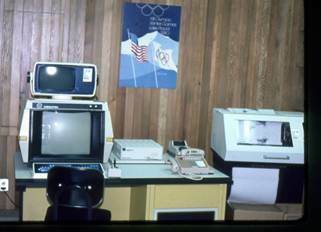 It included furniture, new computer terminals, an oscilloscope, a new digitizer, a screen saver terminal by Techtronic, and new high speed cameras which operated electronically, rather than the old spring loaded ones. We did not discuss the amount of his investment, but I believe it must have approached $100,000, which would be closer to $500,000 in today’s dollar value. CBA was ready to go big time. This was how our company and our life changed. All these changes and a new, wonderful partner arose from a chance meeting at a dinner in the Yankee Peddler. Both then and now we reflect on the luck we had in meeting Larry Graham and realize what a fantastic opportunity he created for us and our future successes. We will always remember Larry with fondness and joy. Our staff became an amalgam of brilliant and eccentric personalities. Ann ran the whole office and did hours and hours of manual digitizing. 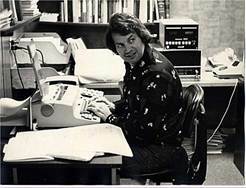 Carl Peterson was a programmer from Dartmouth College and he was a fast, creative programmer in the BASIC language. 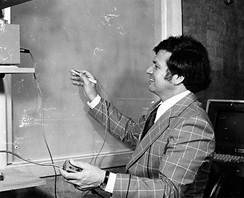 Together, Carl and I created the original biomechanical software in 1971. Carl was such an unusual person that one day we learned that he would play his trumpet in the shower at the dorm. In spite of some of his personality quirks, he was a brilliant programmer. We also hired Alan Blitzblau, who worked in the Computer Center at the University of Massachusetts, but was available part-time to work with us. His specialty was FORTRAN and APL languages. Alan was responsible for many of the software modules that we developed and worked with me for 18 years. Alan’s family lived on their own farm and raised goats, chickens, and grew much of their own food. It was a wonderful treat during the summer months, when Alan would bring home-grown tomatoes and other vegetables to share. I met Jim Walton at a conference where he presented a research paper related to three-dimensional movement. Jim, at that time was a student at Penn State University. I persuaded Jim to complete his doctoral program quickly and come to work with us in Amherst. I was very excited about the work that he had done in resolving 3D results from multiple camera views. Jim was very instrumental in the developed of that part of our software program. In addition, we had two genius undergraduate students working for us, Peter Smart and Justin Millian. They were both experts in hardware and software. They were particularly valuable with the creation of some of our more usual testing and product needs. But the most important programmer in our history literally walked in off the street. One day, I was working in the front office, concentrating on our current tennis ball project. 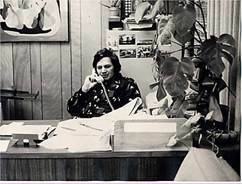 It was 1974 ,so we had been in this office for more than a year. Because our office was located between a sandwich shop and a paint store, we frequently had people coming through the front door who had actually intended to eat or buy paint. In addition, many people were mainly curious about what we actually did since the sign above the door was a mystery topic to most folks. We had all become immune to these unexpected gawkers. However, this time a hippie, whose hair was so long and his beard so covered his face that he resembled a bear more than a man, opened the office door and stepped into the office. My first thoughts were that he was homeless and hoping for some financial assistance. Before I could reach into my pocket, he introduced himself as Jeremy Wise. Furthermore, he had not just wandered by but was the professor of two of our best technical staff, Justin Millian and Peter Smart!! What a shock I experienced at that moment. “What’s your background?” I asked with no expectation of any area that would relate to our research projects. Now this “hippy” dropped another bombshell. Jeremy had a PhD in Nuclear Physics, had performed his dissertation research at Brookhaven labs in Long Island, and currently was a professor in the Physics Department of the University of Massachusetts. I was speechless and wondering what to do next. At that point, I was perplexed as to whether this fellow was for real or some fruitcake imagining his place of grandeur in the Universe. This was the early 70’s which was riding the countrywide wave of anti-war protests and lots of drug use. He could see the skepticism in my eyes. “Let me program something for you; anything. Give me a test to see if we are compatible and if I have any skills or abilities that you can use.” he suggested. Into my mind popped an idea so I said: “Why don’t you program the stock market for me?” He asked for details. I told him to select 10 companies, learn the symbols, and look in the business section of the newspaper for all of the details that are published. Then prepare a printed report with all the functions used in the stock market exchange and anything else that he considered would be of interest to an investor based on his program. I told him that I would pay $10 for each hour he spent on it and to come back to the office whenever he finished product. “Whatever you do,” I said, he need not worry about getting paid. The minimum wage at that time was $4 per hour so I was sure that my offer was more than fair. He agreed and left the office. At that moment in time, I was sure that I would never see him again or, if he did return, it would be because he had failed but still wanted some financial compensation. To my surprise, Jeremy was back in two days. “How’s the project going?” I asked, expecting to hear of his problems. 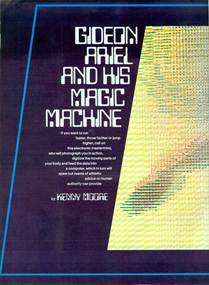 So, Jeremy started working with CBA in 1974 and he is still working for us, as you read this book. His contributions have been a mainstay of the company. Together we created the most sophisticated biomechanical programs in the world from 1971 to 2011 and we continue to develop others. 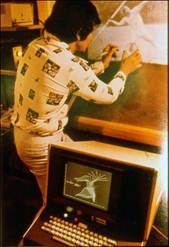 We created software for mainframe and personal computers, as well as a computerized Exercise Machine. Our working and personal relationship has always been strong and unbreakable. He is a fantastic and loyal person to Ann, I and CBA. We value his friendship for all of these years and plan for our wonderful relationship to continue. At the same time that Jeremy was working on the stock market test program, Universal gym was looking for more input on new designs. With our larger lab and more extensive and varied staff in Amherst, we were able to provide Universal with even more detailed information for equipment designs as well as “retrofitting” some of their older models. Universal sent us all the hardware that they wanted us to reconfigure. 1. Re-test Leg Extensions to determine the muscular outputs (Force curves) and adjust the resistance intensity if needed. 2. Determine the resistive formula for a "standing" leg curl exercise. 3. Determine the resistive formula for lat pull down exercise on the Universal hi-pulley station. 4. Study the variables for junior-age boys. This data would be incorporated into the design of a new and smaller junior high machine. 5. Test resistive formulas for women on the bench press, shoulder press, lat pull down, hip abductors, and adductors. 6. Determine the resistive formula for seated arm curls and triceps extension exercises. 7. Determine the resistive formula for pullover exercise from both prone and seated positions. 8. Determine the resistive formula for neck exercises, such as lateral, rotation, and extension and flexors. With our expertise in analyzing human movement and human-machine interaction, we had some ideas. In addition, our intension was to follow some basic principles which relate to strength development. Our goal was to create a machine that helped people maximize their strength at every point in the exercise range of movement. The human body consists of many lever systems which make up the arms, legs, spine, etc. However, these lever systems change as the person moves. For example, if someone holds a ten pound weight in their hand with their arm extended, this weight and position is probably quite comfortable. However, if that person keeps the arm straight and tries to raise the hand holding the weight, it becomes more difficult and often, the weight is too heavy for the person to lift with the arm straight out. Imagine, a little genie who could remove weight as the arm was raised so the weight became lighter until it was possible to add some of the weight back to its original size. In other words, when the arm was in the position of the greatest biomechanical disadvantage, commonly referred to in weight training as the "sticking point," a person needs to exert more muscular effort than when the arm was in the original, mechanically advantageous position. When the human lever system is at its greatest advantage, the muscular force diminishes in order to lift the same maximum external load. Therefore, the variability that exists in muscle force is due primarily to the changing advantages and disadvantages created by the human lever system. The following illustration graphically illustrates the changes in muscular forces that occur when the arm is bent while holding a 10 kg load. As the levers move, the amount of force needed to raise the load increases. The task for us was to evaluate each of the Universal Gym “stations” from the prospective of (1) determining the actual force applications, (2) whether the forces were correct from an exercise point of view, and(3) how to modify the unit if it was necessary and appropriate. We proceeded to use our biomechanical analysis technique to evaluate the actual performance curves which were produced by someone exercising on each of the Universal gym “stations”. We were easily able to establish that muscles were only working at their maximum potential during a very small range of the total movement (normally only at the "sticking points"). In other words, our tests revealed that before and after the “sticking points” of the exercise the contribution to the strength development of the muscle was greatly reduced. An example of a generated force curve showing the range of motion is shown below. This curve illustrates that much of the activity is below the muscles’ ability to produce force. The only time the muscle actually has to work harder is during the “sticking point” portions. In order to develop maximum conditioning effectiveness, it was essential that the resistance be accurately varied. Our “corrections” or modifications to each “station” were designed to increase the resistance before and after the sticking point. With this modification to the level system of the equipment it becomes possible to maintain the same degree of muscular involvement (effort) throughout the entire range of movement. Now we began to add some extensive, complicated projects to our list of things to do. One of these would change our business dramatically. We were hired to analyze athletic shoes. 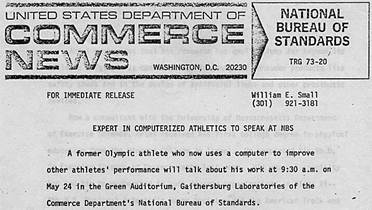 Following my 1972 scientific presentation at the Olympics, I was approached by Mr. Hans Brink, the head of Public Relations for the Adidas shoe company. He wanted to discuss some of the ideas which I had raised during my presentation to the coaches and athletes at the conference. “Which ideas?” I asked him. “Particularly, we are interested in what you said about shoes and body weight. You said that it does not make sense that a person wears shoe size 11 and weighs 100 Kg. yet would wear the same model shoe size if he weighed 75 Kg. You said the shock absorption should be different for different weights” was his answer. I was intrigued by the details which he remembered from my talk. Also, since we each had foreign accents, we had intense concentration to understand each other clearly. “Yes, people should be thought of as weight bearing machines in the same way that the car industry works with tires. Cars and trucks have tires which are appropriate for the load they have carry as well as frictional requirements during use. The automotive manufacture does not select the tire based on color or design. Furthermore, they do not support the ‘one size fits all’ philosophy which is common with shoe manufacturers” I said. I reached into my briefcase and pulled some preliminary work which we were conducting for the National Bureau of Standards in Washington, D.C. The research for them dealt with the Slip and Fall situations between shoes and surfaces in settings such as restaurant kitchens. The floor in the kitchen is frequently smooth because it is easier to clean but usually wet with spilled food or liquid. The floor in the restaurant is normally carpeted. Thus, the employee needs attractive appearing shoes but which have the appropriate frictional requirements for walking on both surfaces while carrying a tray ladened with dishes. This is on-going research for us. Mr. Brinks seemed very intrigued by my ideas and our research project. He thanked me for my time and assured me that we would receive a rapid response from Adidas. He implied that there would be some research projects proposed by them in the near future. I thanked him for his interest and we parted. Soon after I returned to Amherst after the Munich Olympics, Hans Brink wrote me that Mr. Adi Dassler, the President, wanted to meet me. They even would fly me to Herzogenaurach, the home city of Adidas, to meet with him, their staff, and some of their engineers. Since I had agreed to participate in a conference in Munich, Germany in a few months, we decided to schedule the meeting around that time. Following the conference, I would go visit with Mr. Dassler and his various staff members. The morning of the Adidas meeting was filled with discussions of biomechanics, the analytic procedures, and proposed research ideas. The morning hours passed quickly because of the intensity of discussions. Suddenly, the announcement came that it was time for lunch. As we pushed our chairs back from the table to go to the cafeteria, Mr. Dassler asked me come to his office. We both walked slowly towards his office as we continued the thoughts raised during the morning discussions. However, when we entered Mr. Dassler’s office, I thought I had been transported to somewhere in intergalactic space. There were advanced technological gadgets and equipment all over the office. His desk and furniture looked to be made of solid gold as well as having gold shoes on display on the walls. The pictures and wall decorations were obviously priceless and were lighted as you would find in a museum. His office must have cost millions of marks to build and equip. But what, I thought to myself, did I expect from the man who was the sole owner of the largest shoe company in the world with millions of shoes and clothes sold every year? In addition, Adidas was the brand that every child, athlete, and week-end sports participant wanted to wear. Adidas was at the peak of desire and clearly this office reflected some of this worldwide adoration. His office mirrored the extensive financial and power that a man in his capacity had. After I recovered from the initial shock of his office, Mr. Dassler then took me into one of the closets in his office. It was a large, spacious, well lighted walk-in closet neatly organized with rows of shirts, pants, suits, and drawers in addition to an enormous number of dress and athletic shoes. Among the hangers of suits, he pulled out a beautiful SS officer’s uniform and held it up in the light. This was not what I had expected to see in his office and it seemed like a very odd display item for an Israeli visitor. I asked him if he had been an SS officer in the German Army in World War II and hoped that the answer was “no” and that the uniform was just a weird souvenir from the War. He admitted that he had been an SS officer but justified this position by admitting that “My responsibilities were against the Germans, not the Jews.” Somehow, in his mind, this was sufficient vindication. The discussion ended at that point and was never revisited. We then went on to lunch with Mr. Vogler, the chief Adidas engineer. Many ideas were discussed regarding all types of shoes and their use in different areas including construction workers, medical personnel, and, of course, athletics. Finally, we decided that for initial research efforts we should concentrate on their current core business and address “the athlete in the shoe.” They wanted to measure the forces in the shoe and how the body reacts with the athletic shoe. 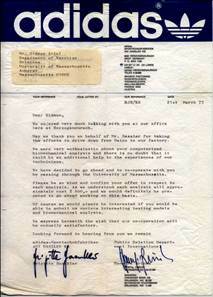 Shortly after our meetings at the Adidas center in Germany, I received a letter from the staff and Mr. Dassler thanking me for taking the time and effort to meet with them. More importantly for CBA was the offer to work with me using biomechanical analyses on their shoes. Our relationship with Adidas began with a number of studies on the interaction between shoes and athletes as well as shoes with non-athletes. 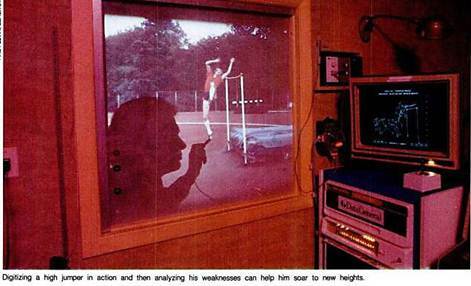 We had the proper cameras to analyze body movements with their kinematic parameters such as velocities, accelerations, momentum, and interaction between the legs and the arms as well as other biomechanical parameters. However, we did not have the mechanism to measure the force in the shoes. For that we needed force plates. A force plate is a device to measure the forces in three orthogonal directions when you come in contact with the ground. In other words, this contact force platform device would allow us to determine the actual forces at various parts of the foot during the contact time with the ground. By measuring a runner with no shoes, we would have an indication of his or her individual “shock absorbing” characteristics. Placing different surfaces directly on the plate surface and repeating the run would give an indication how much, if any, the surface provided any shock absorbing characteristics. Finally, wearing different shoes, we would be in a position to evaluate the response of the shoe to the runner. In addition to the shock absorbing function, we were interested in designing shoes that absorbed impact force but, as the runner transferred weight forward towards the toes, how to return energy to the runner in a “rebound” action. My idea was to prevent injuries due to impact but return energy to the runner during the push-off phase of the stride. With the non-athletic shoes, we wanted to determine the frictional capacities of the shoes and the requirements associated with each task. This was a natural outgrowth from our National Bureau of Standards study on restaurant shoe requirements. Thus, one of our initial hardware purchases for the Adidas project was a force platform. At that time there was only one company that made force plates. This was Kistler of Switzerland. Their platform was based on the pizeo-electric principle with specialized disks internally imbedded near the four corners and produced incredibly accurate results. We purchased two of these force plates at an unbelievably high price at that time of $30,000.00. Our next task was to construct a mechanism to load the shoes inside and see how the material responded. 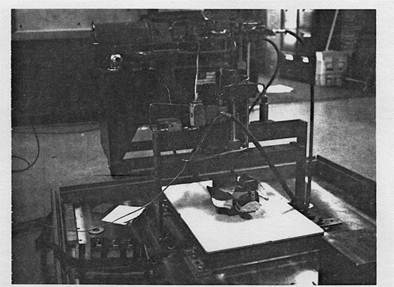 This device used a hydraulic cylinder and was controlled by a computer. There was no other device like this in the world which forced us to invent our own. We were able to impact material which was unique since other testing equipment available for material testing used stretching and pulling. This seemed inappropriate to us since shoes are pushed upon by runners not pulled. In addition, the computer allowed us to change the force impact levels so they matched real people. If the test impact were too small or too large, the results would be meaningless in the real world of footwear. In addition, we needed to measure the response of the muscles and the muscular involvement at each phase of a stride during various activities. Evaluation of the electrical activity of the muscle during movement necessitates the use of special devices known as Electromyography (EMG). At that time, small disk electrodes were placed on different muscle groups and the electrical activity was recorded during the various activities such as walking, jogging, or running. The electrical activity could then be coordinated with the force plate results and the biomechanical kinematic parameters. With the cameras, the plates, and the EMG we could measure what the human body was doing inside and outside of the shoe. We configured the force plates according to the motion being studied. Running strides required different placement locations and differed from a straight line activity such as the shot put (see enclosed photo). With each sporting event, the plates were relocated as appropriate for the event’s execution. 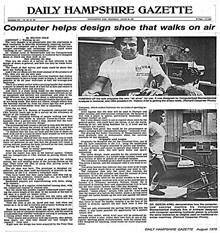 In 1972, no one had yet started thinking about how shoes related to the athletes’ actual performance. We already knew that, even in the gentlest of exercise, such as jogging, there is a perceptible change in the elements of each stride when compared to walking. In our measurements, we found out that many joggers land first on the heel and then they roll forward. This is very different from walking. Joggers generate forces which can be three times their body weight when they land on the ground. This sends a shock wave through the ankle toward the knee, the hip, and then up through the spinal area. An ordinary heel may suffice for an easy walk, but it will not do for the much greater loads imposed in jogging and, even worse, when running fast. Some joggers land on the floor with their entire foot such that the impact crushes the arch. Other joggers imitate the action of runners who touch down on the forefoot, roll back toward the heel, but may never actually bring the heel in contact with the surface. A third technique is that the jogger lands on the heel, rolls towards the outside edge of the foot prior to landing on the full foot, and then pushes off with the ball and toes. From the standpoint of absorbing the punishment of the 3-times-their-weight force, it is preferable to land on the forefoot where the ball of the foot, with its rounded contour and spongy character, can absorb some of the landing. The faster one runs, the more severe the impact. We measured how the combined action of the ligaments, muscles, and tendons were able to spread the trauma of the touchdown. We examined the primary biomechanical differences between walking and running. To distinguish walking from running, there is a double swing phase during running while there is a double support phase during walking. In running, the body is totally airborne for a period of time whereas at least one foot is in contact with the ground for the entire gait cycle during walking. In walking, one must elevate the body and then fall forward. The biomechanics of walking simulates an egg rolling end over end. 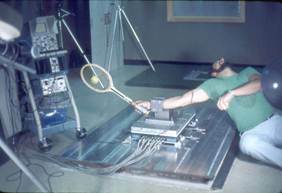 A walker pushes off almost vertically, lifting the body, combating gravity, during which the leg muscles perform positive work. The potential energy of the uplifted body becomes kinetic energy during the fall phase which is accompanied by positive muscle movements. Jogging, even at a slow pace, such as seven kilometers (4.5 miles) per hour, involves a substantially different locomotive operation. For the biomechanics of running, the analogy is not a symmetric end-over-end rolling egg, but rather a symmetrically bouncing ball. Running is associated with the foot first striking the ground, transference into the mid-support phase, and finally foot push off. In running, the leg must actively contract to prevent the ankle, knee, and hip joint from bending due to the weight of the upper half of the body and the generated force. Additionally, we found that muscles accumulate energy in the same way that a ball with elastic properties does upon impact. That elasticity contributes to the running dynamics, much as a trampoline assists a gymnast. The action could also be likened to dribbling a basketball, where one combines the force of the hand and the elasticity of the bouncing ball. An over-inflated ball will bounce higher compared to a ball having a low internal pressure, since the compliance coefficient is greater. The same response occurs in humans since the muscular compliance factor determines how much energy the muscle can recover. CBA’s research with shoe designs was an active effort which covered years of work. We learned everything that we could about feet as anatomical units and as the connectivity with the rest of the body. We had to design very specific equipment to measure the forces impacting the shoes as described earlier. Another device we developed was a mechanical leg which was controlled by the computer. The “leg” was designed to simulate specific points of impact which were exact simulations of kinematic measurements obtained during actual running or walking events. This would yield more precise impact information for different areas of the shoe and reflect actual measured running or walking conditions. 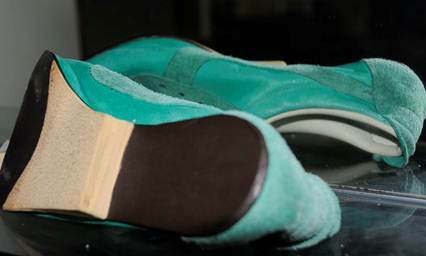 Another invention of testing apparatus which we developed (previously mentioned) was designed to apply computer controlled stress levels on different parts of the shoes. 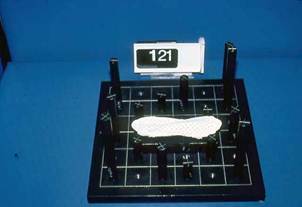 The purpose of the device was to determine the force and recovery characteristics of the material in different parts of the shoe in response to a wide range of duration and direction of force application. The device could be programmed to mimic the force and the length of time that the foot actually produced during the various modes of walking and running. It was the only mechanism in the world that worked under compression and tension according to our software instructions. Following our extensive research on the motions of walking and running, we provided Adidas with the information they had requested as well as numerous recommendations for redesigns of some of their athletic shoes. Many of our ideas were incorporated in their shoe designs for several years. 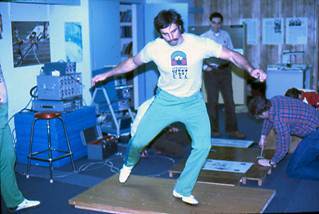 In 1975, the International Society of Biomechanics met in Yavascula, Finland. I was invited to present a paper on the Design of Athletic Shoes. I had to be careful not to reveal confidential information, but to talk more about the methods that I was using in research and design concepts in athlete shoe designs. This presentation was extremely helpful in allowing our biomechanics company to reach the forefront of shoe design. Our research for Adidas had given us the knowledge and the equipment that no other company had available for studying shoes and any person or profession with regard to the required footwear. One person who heard about our research for Adidas and my shoe presentation in Finland was Roberto Mueller, an Argentinean who lived in New York. I received a phone call from him. Mr. Mueller inquired about our research techniques and what we were doing in the area of sporting shoes. I told him that our studies were completely confidential to each client and we would not share any information with him relative to our clients’ research . He was quite relieved to hear my statement and proceeded to inquire whether we could meet and discuss topics relevant to him but which, in no way, would conflict with our other clients. Naturally, I agreed and we set an appointment for our laboratory in Massachusetts. Shortly after this phone conversation, Mr. Mueller appeared in my office. He was elegantly dressed and had the impeccable manners of a sophisticated South American diplomat or extremely successful businessman. He introduced himself with a strong accent (although I probably should not talk!). At that time, we had several Israelis working at CBA on various projects. One of them was Avraham Melamed who I had roomed with at the Munich Olympics and who was now a student of mine working toward his Ph.D. at the University of Massachusetts. 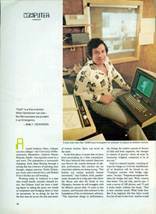 Robert Baron, was another Israeli who worked in the computer science department. “Are you Jewish?” I asked in continued astonishment. I stared out of the car window at the Amherst trees and sky, thinking to myself that I certainly knew how to ruin a good business prospect. “So now what?” I asked him. “We will do business together and be good friends because of your background, knowledge, biomechanical expertise, and feisty attitude!” he replied. “Please call me Roberto from now on instead of that stuffy ‘Mr. Mueller’ title.” He was right. We became good friends and worked closely for many years. The parent company of Pony was CITC (Consolidated International Trading Company). 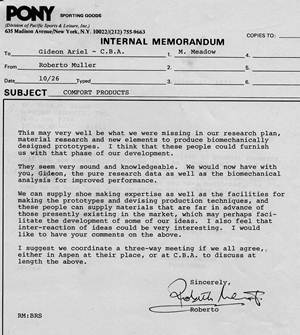 We would have to negotiate with CITC regarding the type, extent, and cost of the research that Roberto wanted us to perform for him. CITC was owned by the king of shoes, Mr. Jonas Center. It was amazing to me that Mr. Center was a lawyer who owned a shoe company. He owned the company because it one of his former legal clients had paid his fee by giving Mr. Center ownership of the shoe company. It transpired that the shoe company went out of business but Mr. Center retained the exclusive contract for the importation of all shoes from Korea. At that time in the 1970s, all shoes happened to come from Korea so it resulted in a terrifically profitable business for Mr. Center. He eventually added some of his own shoe ventures, including Pony, as well as allowing other companies to pay the license fee for other Korean shoe imports. One of the more notable companies importing Korean footwear under Mr. Center’s contract was JC Penney’s. I drove to New York to meet with Mr. Center, Roberto, and all of the engineering staff. Everything went well and we agreed on a beginning shoe project for Pony. It was a strong and rewarding relationship between our companies and it lasted for many years. We developed the most functional shoes in the world for them and, even by today’s standards, the shoe designs were excellent. The long relationship with Pony and CITC involved a number of large projects associated with the design of new shoes. Our first research projects were to study existing basketball and tennis shoes. After we analyzed what was currently available and determined the force and performance needs of the players, we designed the optimal shoes for each of these sports. The research for Pony and the CITC companies spanned nearly a decade from 1975 to 1984. Thousands of pairs of shoes were supplied for testing to CBA. Hundreds of data collection sessions were conducted at our laboratory, at the Olympic Games, and at national competitions. CBA had an enormous data bank for athletic performance and for the shoe requirements in order to develop the best shoes in the World. In 1981, CITC contracted CBA to do additional research. They wanted us to construct baseball and walking shoes. In the meantime, CBA were to receive royalties on every shoe that was manufactured by Pony or any of the related companies which utilized our research designs. The contract gave us 10 cents for every shoe CITC produced utilizing the CBA research. 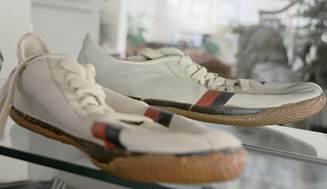 Luckily, Korean shoe imports were still the primary source for athletic shoes, at least for the mass market in America. There were imports such as Adidas and Puma but they were more expensive and, therefore, exclusive which resulted in smaller sales volumes for them. Millions of shoes arrived in the US from Korea utilizing our designs. The royalty stream allowed us to purchase new equipment including our own high powered computer in our laboratory. We were never the personality types to spend money on fancy clothes or expensive cars. The money was returned to the generating source which was CBA. Besides contributing to our economic profitability, our research with Pony and CITC gave us national notoriety in leading magazines across the field. Each article was approved by Pony and CITC and frequently, they were able to contact the journals directly and suggest that CBA was an interesting topic for their readers. It was a good marketing tactic for Pony, to be sure. How one man’s mind is thrusting athletic footwear design into areas which border on science fiction, but which are based on science fact. Working with Pony, we had access to many great athletes and worked with them on their performance skills as well as trying to develop the proper shoes for their activity. Many of the shoes we created were instrumental in helping people achieve world records. I will mention only a few of our special shoes that were designed for these special people. Mac Wilkins, the discus thrower, came to our office in Amherst. We traveled to several international track meets to obtain kinematic data on Mac while he was performing in an actual competitive environment. He then came to our laboratory, as shown in the photo, to recreate the discus throw movements utilizing two force plates, EMG, as well as additional kinematic calculations. It was long, laborious procedure but necessary if we were to design shoes for Mac that truly reflected his actual performance. In the discus throw, the athlete turns more than 360 degrees. This means that the rotational friction of the shoe sole on the rotating leg, which is the left leg for Mac, should be minimal. However, just prior to the release of the discus, the athlete should have no slippage either forwards or backwards. Any foot slippage or movement will result in a loss of energy. If the energy is not lost because of this foot movement, then the thrower can exert more force, or energy, into the discus. Providing that all other factors are correct, the result of great force on the discus should produce a longer throw. With this frictional need in mind, we designed a shoe that would minimize the foot movement in the forward and backward plane but would not inhibit or reduce the spinning or twisting motion of the foot. Careful examination of the next photo reveals the small dimples on the sole. These dimples provide minimal rotational friction but allow the foot to remain solidly on the ground and prevent sliding forward and backward. This shoe contributed to Mac’s world record in the discus. Another shoe we designed for Pony was for sprinting. The sole of the shoe had a wedge which kept the heel elevated. This provided two advantages to the sprinter. The first was to change the posture and balance by shifting the weight forward over the toes. Secondly, by elevating the bottom of the sole away from the heel, the runner was able to utilize the elastic energy stored in the foot and calf segments to “rebound”. Both of these advantages, contributed to saving a few milliseconds on each stride. For a 100 meter sprint, this could result in a 300 millisecond advantage. At that time, such a shoe design was legal and is shown in the following photo. A sprint shoe that improves the speed of the athlete. For sports that require cleats and other traction devices, we used our technology to create shoes with the optimal location for the cleats. Activities that benefited from this optimization included long jump, high jump, baseball, and golf. 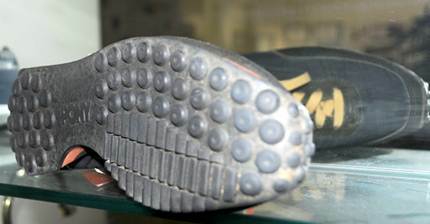 An example of one of these shoes where cleats could be screwed into the sole just before competition or practice began is shown in the following photo. 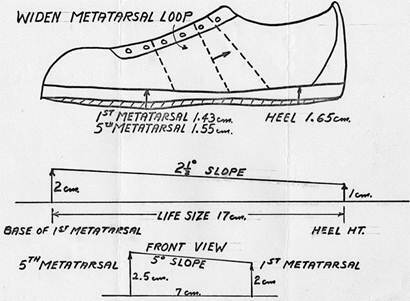 The most popular shoe that Pony developed, based on our research and ideas, was the jogging shoe with the “Variable Sole.” The “variable” name reflected the two different parts and needs of the sole. The rounded dimples or buttons on the outer side and sole were for shock absorption which occurred when the foot initially hit the ground. The ridges or tractor-tread design under the ball of the foot was to provide traction during the portion of ground contact when the foot was rolling toward the push phase. This part of the design increased traction on the ground during the time that less shock absorption was needed. The following photo shows the jogging shoe with the Variable Sole design. 1. Sprinters have no need for spikes. The need for shock absorption qualities is also minimal because the body motion is vigorous and effectively counters the landing. The sole should be firm to enhance the push-off. 2. The slower pace of the long distance runner and the large number of repetitions of foot contact make friction, wear, and shock absorption extremely important. We recommended that the sole flex should allow a smooth convex curve as the heel moves upward. 3. Cross country runners should wear the same basic shoe as distance runners, but two additions are necessary. Because of the possibility of stepping on small projections (stones, ridges, etc. ), the sole must have more rigidity for the distribution of the force. Uphill running causes the forces of impact to be entirely on the ball of the foot, so the sole should have better shock absorption qualities than the flat racers shoe. 4. 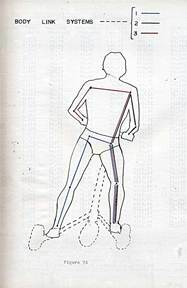 Olympic walkers have the end of the heel make ground contact first with the toe high, just as the opposite foot leaves the ground. The time of double support is virtually nil. The heel has almost no downward force when it touches for the first time because the motion is almost completely horizontal. The inner sole should be soft so the surface will shape to the toes. The uppers must be very flexible to adjust to the drop of the longitudinal and transverse arch. The shoe must be firm fitted about the metatarsals and form-fitted to the heel without putting pressure on the Achilles tendon. In addition, a major change that should be considered for all track shoes is the implementation of a higher heel. It appears that most manufacturers have reduced the size of the sole and heel in order to reduce the weight. However, weight should not be sacrificed without including appropriate shock absorbing replacement. Weight should be a significant factor with competitive shoes which are used only for the race itself. For athletes in training and for the average person who runs for fitness, weight reduction in the shoe should not be necessary. For athletes, the shoe weight should provide shock absorbing protection; for the “weekend warriors” the shoe support should be increased to protect the skeletal system as well as increasing the energy demands. After all , the primary reason that most people give for running for exercise is to burn calories. Therefore, a heavier shoe which requires more calories for the exercise should be a desirable product rather than to try to find the lightest shoe possible. This is straightforward biomechanical logic. Other considerations for running shoes are that the sprinters heel should be lower than the heel for distance runners. In addition, the heel should be rounded on the outside-back edge as well as sharply edged and be slightly higher on the inside of the heel. Another idea that I had was that Pony needed to have a shoe that would adapt to the many varieties and styles of the running foot. People vary greatly in height, weight, and shoe size. In fact, we had observed just in the subjects we tested, that it was not unusual to find slight size differences between the left and right foot. How could this accommodation be effected? My answer was “Air”. My thoughts continued to return to the automotive concept where tires are designed to fit the size and weight of the car or truck. 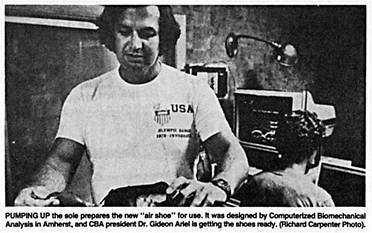 Based on all the research that I conducted with shoes over many years, it became even clearer to me that athletes needed an Air Shoe. A shoe that could adapt to forces and weights in various activities would be an excellent choice for the person wearing the shoe as well as streamlining production for the company. 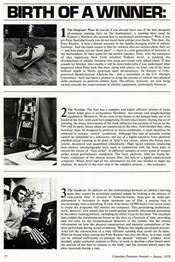 Early in the 1970s, I had first considered the use of air in shoes primarily for shock absorption. 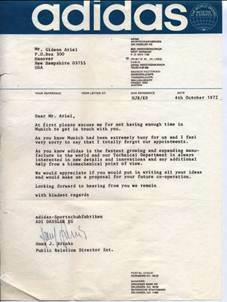 I had suggested the idea to Hans Brink, Mr. Vogler, and Adi Dassler of Adidas in one of our initial discussions. 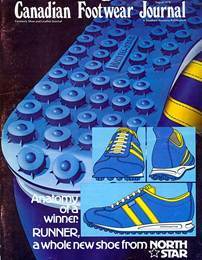 Adidas actually manufactured a shoe with “bubbles” with air inside the sole, the Adidas 72, which was the most successful jogging shoe in the world at that time. However, these were token air pockets and not scientifically designed to provide any particular shock absorption. Adidas did not pursue the idea of air shoes using my diagnostic procedures primarily because of the cost of the development and expected sales price. Shortly thereafter, I was the consultant for Tiger Shoes which was one of the CITC companies, as was Pony. I presented to them the idea for air in the shoes in the same fashion that I had previously presented to Adidas who had not gone further w/the air shoe design that I had proposed. To test the concept, we made an inflatable air bladder similar to an insole which could be inflated according to the specific need of the athlete. This bladder was designed with valves that allowed air to flow from one area to another. For example, air initially in the heel would support foot strike and then the value would allow the air to move forward and support the ball and toes of the foot for takeoff. This movement of air through one-way valves allowed a dynamic reaction to the athlete’s movement rather than rigidly determined or fixed air pockets. We made many prototypes according to where the athlete landed on the foot. Some of the athletic events produced greater shock absorption in the heel and others had more in the ball of the foot and near the toes. We tried to optimize the best location for the air based on the athlete’s running event. Then we tested the response of the air bladder within the shoe utilizing the mechanical leg and hydraulic test equipment on the force plate. For different events, we need to have different structures. Once we perfected the locations for the air and the valves, the bladder would be built into the sole rather than merely an insert. Every shoe would then have an external valve to inflate or deflate as needed by the athlete. This would accommodate the athlete, the event, and size differences. It would also reduce the need for so many small size differentials that shoes manufactures had to produce and would also help every person adjust the shoe for each foot. 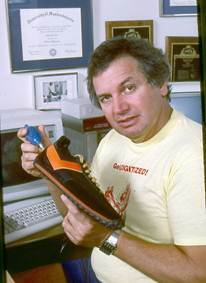 My work with Tiger Shoes was well before Nike, as a company, even existed. 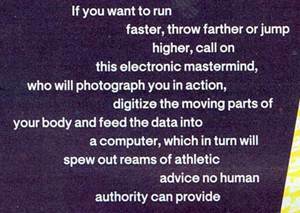 Besides me, on of Tiger’s consultants was Bill Bowerman from Oregon. He left Tiger and started Nike Shoes. Later, Phil Knight joined Nike and they have soared ever since. 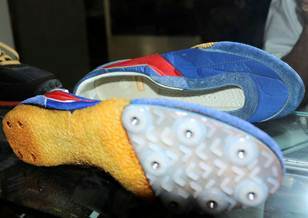 The shoe had a specialized bladder in the built-in inner sole which could be inflated and deflated through an external valve at the back of the shoe. The bladder was especially designed to allow air to flow from one air pocket to another pocket via one-way valves. In this manner, air was moved by the athlete’s impact rather than being located in static, unchanging “bubbles”. It was a fantastic concept and is still is a great shoe design. However, the manufacturing costs would have exceeded those for a non-air shoe. 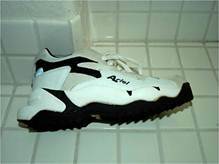 Over the years, we have never found a shoe manufacturer which was willing to produce the adjustable air shoe. So, the best shoe in the world died, as so many good ideas perish, on the pyre of economic considerations. I continually dream that, in the future, some company will decide to manufacture it. By now, our notoriety had spread around the world. Our phone rang urgently from companies imploring us to help in designing their particular shoes. One was the Brown Company located in Boston, Massachusetts who wanted assistance with the design of their nursing shoes. Our friends from Spalding sought our input on designing a non-specialized shoe for the average person. UniRoyal Company wanted assistance in improving their basketball shoes and Dr. Scholl searched for studies to improve their sole inserts. During all of the shoe projects, one evening I received a telephone call at home at 10 o’clock. The voice gave me a name that I did not recognize, but continued to ask about biomechanical analysis. Based on the questions, I was sure it was one of my students. I assured him that all of the questions would become clear as the semester progressed provided he attended every class. Ann was walking around the kitchen listening to my side of the conversation. As I looked more and more confused by the conversation, I decided to ask exactly with whom I was talking. I repeated his name out loud for Ann to hear “George Allen of the Redskins” was the answer. 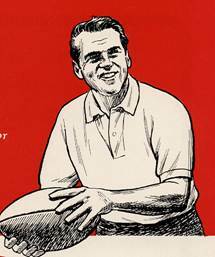 Ann’s eyes widened with surprise and she indicated that he was the head football coach. In my own self-defense, I was familiar with soccer not American football. Furthermore, I was clueless regarding professional teams, players, or coaches. I responded with “are you some kind of coach”? This response nearly floored Ann, a devoted fan, but seemed not to deter Coach Allen. He replied that he was and he invited me to visit his training facility in the outskirts of Washington, D.C. Thank you for your recent letter sent to Bill Hickman. Enclosed is a check for your expenses submitted for your visit to Redskin Park. Keep me informed if you have any other suggestions. We can take the time to go into a lot of facets of your program -- I am more interested in the things that I men­tioned to you. In addition to all of our shoe studies, CBA also attracted many other projects. One day, we received a phone call from a visual specialist who asked about our thoughts on baseball skills. It transpired that he was working with the pitching and batting skills of the Kansas City Royals. He believed that a baseball batter had to continually switch from side vision to forward sightings prior to the ball being pitched. How successful the batter was in mastering this alternating vision and being able track the ball after the pitcher threw it, determined the success, or lack thereof, of his hit. The specialist had a battery of tests which all of the players took and practiced in an effort to improve their hitting skills. We designed a research project to examine the coordination between the pitcher and the batter. In this study, we focused our attention primarily on comparing Steve Busby and Doug Bird, both pitchers for the Kansas City Royals. The goal was to examine the patterns of motion in throwing a fastball and a curve ball and to evaluate the batter’s response to each of these two pitches. The KC Royals arranged for us to film a game against the New York Yankees in NYC on July 14, 1973. We had to design a unique filming system using mirrors on each camera so that every pitch showed the pitcher and the batter simultaneously in the same frame of the 16mm film. By using the mirror system, we could coordinate the movement of the pitcher exactly with those of the batter. As mentioned previously, this was in the days before instant digital video recordings. We filmed the two pitchers during the game and then took the film back to Amherst for processing. I must confess that I have no idea who won the game that day since my main focus was on acquiring good, clean, useful film data. 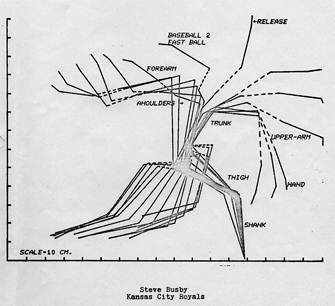 In the days that followed, we performed our biomechanical analyses on the two pitchers. In addition, we processed data on the batters to detect any information on how they watched the pitcher and attempted to track the pitched ball. Our results revealed that Busby demonstrated an extremely good pattern of using his body segments efficiently. His front shank and thigh decelerated abruptly just prior to the release of the ball contributing to the speed of the hand and ball. Busby used his knee extensors throughout the throw, as well as using his front leg to good effect. However, he tended to lose his thrust just before the release, when delivering his fastball. 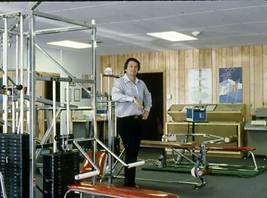 The biomechanical results for Doug Bird indicated that, although he was also efficient, he did not use his body’s link system as well as Busby did. He produced the same deceleration pattern as Busby, but with less magnitude. Bird’s deceleration was not as abrupt at release and this resulted in a less efficient pattern. In addition, Bird failed to use his knee extensors fully. We concluded that the magnitude of the elbow extension differences indicated that Busby was the stronger man. Bird needed to improve his upper body segments to increase the velocity of his throwing hand. Busby’s throwing sequence was almost perfect. He used his front leg to the maximum potential possible. He was 25% stronger than Bird in the force of the direction of his throw. Bird needed to strengthen his body to achieve a stronger throw. In addition, we determined that the throwing motion for both pitchers relied on the strength and timing of their lower body segments. With strong leg and trunk segments, the pitcher could plant the front throwing leg which would abruptly stop the forward motion. The forces would transfer through the arm and allow the ball to gain additional speed. Much like a car hitting a wall which throws an unrestrained driver through the windshield, stopping the leg and trunk abruptly, allows the forces to transfer through to the ball. Now both the players and their coaches understood more about them as players and about the intricacies of pitching. In addition, the vision specialist had more information to help the batters as well. As with most of our CBA projects, much more information was gleaned than anyone imagined before the studies began. It was during this time, that my father, Moshe, decided to travel to America to visit me. His plane was scheduled to arrive in JFK one afternoon in the Spring of 1975. I was extremely nervous about his visit since my emotions were at war with positive as well as negative thoughts. On one hand, I was proud to show him my many accomplishments in academia, as well as, in my business and personal life. These goals were shadowed by my experiences of his denigration and disapproval of nearly everything I had ever wanted or accomplished. But Ann and I prepared for his visit as well as we could. We drove to New York in my VW camper. I paced the terminal floor anxiously while I twisted and turned to stare at the door as each new arriving passenger emerged. After a very long time, my father finally appeared looking weary and haggard after his long flight. I introduced him to Ann but they both had unreadable expressions so I picked up his suitcase and off we went. It was another 4 hour drive which must have really worn him out. A few days later, I discovered that he had actually packed his suitcase a month before he began his trip to see me. This was typical of his personality to prepare meticulously and allow unfamiliar circumstances to overwhelm his logical sense of things. His explanation was that since I lived on “Poole” road that meant that I lived in the water so my house would have to be up in a tree to keep me and my household dry. I was speechless! We turned into my driveway and ahead was the cute, little red house set on the edge of the tiny hill overlooking the lake. Although my father never mentioned this again, I have no doubt that he was extremely relieved to learn that he would not have to climb a ladder into my home. As his visit progressed, my father relaxed and loved the natural quite beauty of my lakeside house. He was a quiet man with complex thoughts and emotions. His artistic talents had never been realized because no one had ever encouraged him and his work days had taken all of his time. It was during this visit that I realized how little we actually knew about each other. My father did not really understand the work we were doing at CBA. He attended the classes which I taught, looked at the articles written by and about me, and studied the framed Ph.D. diploma on the wall. It was impossible to determine where he was shocked, surprised, frightened, or proud since he watched everything and said nothing. Sadly, the past was greater than the future for us. One interesting project was activated during my Father’s visit. The United States Department of Commerce, as one of its responsibilities, manages the National Bureau of Standards. The previous year, we had been approached by the National Bureau of Standards regarding some specific questions about our testing procedures and the types of results that we could produce. After extensive conversations with the professional staff during the following year, I was invited to Washington, D.C. to present the type of research that we conducted which was a truly unique application for the products they needed establish standards to regulate. For this initial presentation, I was asked to present the methods we used to measure human performance in sports, industry, and normal life activities. In addition, I should show some examples of research we had conducted and some of the apparatus that we used to analyzed products or performances. After that presentation, their and our staff members would focus on the scope of the research we would conduct for them. After the relatively short flight from Hartford, Connecticut, we arrived in the Capitol of America, Washington, D.C. We stayed at the Hyatt which was a luxurious hotel close to the center of the city and a short cab ride to the location of lecture on the following morning. After dinner we rode the elevator upstairs to our rooms. I had a room with Ann and my father had his own room adjacent to us. The following morning, I knocked on the door of my father’s room. Nothing happened, so I turned the doorknob and discovered that the door was not locked. When I opened the door, I saw my father seated on one of the beds dressed as he had been the night before. “I did not sleep.” he answered. “Well he did not show up,” he replied to me. “Who did not show up?” I asked. “The other man” was his reply. “What other person, what are you talking about?” I asked with mounting confusion and consternation. My father pointed to the second bed. Each room had two beds. My father had neither experience nor a rational explanation for a second bed in a room for only one person. It was beyond his wildest imagination that he would be in a room alone with a second bed available yet unoccupied. From his perspective, this was a waste of a bed. My poor father; despite his age and moving to Israel as a young man, he still lived in old Poland. He had never been in a luxurious hotel nor experienced a room with two beds just for him. Unfortunately, we still had to continue with our scheduled presentation at the National Bureau of Standards despite my father’s poor night’s sleep. Not surprisingly, my father was quite tired by the end of that day. That night, however, he slept extremely well in his newly discovered luxury of two beds in one room with both of them for him. The next morning when I knocked on his hotel room door, it was locked. When he opened the door, I saw that he had used the second bed for his clothes and his suitcase. We spent the day at the Smithsonian Museum. His favorite section was the Air and Space Museum. When he was presented with the opportunity to touch the space shuttle and the capsule which had actually landed on the moon, he was speechless. He expressed no desire to see the antiquities or historical sections and was only interested in the newest scientific displays. In spite of his lack of experience in travel, he was very progressive in his modern and technological interests. He expressed interest only in things of and about the future and distain for antiquities and things from the past. After the presentation to the gathering of experts at the National Bureau of Standards, we discussed some specific needs that they needed to address. These discussions resulted in some of our more unusually unique biomechanical studies. One research project was to analyze the redesign “paper” matches. At that time, one of the most common supplies of matches was folded match books. There were advertisements on the outside covers for everything from hotels, restaurants, to various products. The cover of the matchbook opened very much like today’s clam-shell phones. 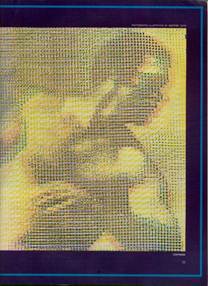 The cover of the match book flipped up to reveal the matches arranged horizontally across the bottom, just above the corrugated striking surface, almost like flowers in a garden. To use a match required merely tearing one of the matches from the row, closing the cover, and striking the match against the strip to ignite it. The impetus for this study was the frequent episodes of fires resulting from repeated efforts to ignite a match. When there were fewer than five matches remaining in the package, the striking surface had been worn smooth. Thus, rather than providing the correct corrugated, rough striking surface, the match slid across the surface without igniting the flame. In addition to the increasing smoothness of the striking surface, the paper match itself began to deteriorate. Therefore, as the match became weaker and more flexible, people would grip it closer to the powered end and continued to strike the match. By the time that the match suddenly ignited, the fingers were gripping the match too close to the flame, the fire would burn the fingers, the match would be dropped, and fires ensued. Our biomechanical research on match striking suggested two main solutions. One solution to this problem was to add a stronger material to the matches so they were more resistant to bending during the striking action and the second recommendation was to increase the amount and/or roughness on the striking area. These changes would reduce the weakening of the match during the striking process and, hopefully, reduce the change of burning the fingers or causing a fire. A second project initially seemed strange and unusual, but we soon learned that it was a practical and safety-related assignment. The study was to evaluate the current shape of ketchup bottles and determine if their proportions could be biomechanically altered to produce a safer container. Once again, the impetus for the study was the surprising large numbers of injuries resulting from ketchup bottles slipping out of the hand while attempting to shake out the ketchup. The situation rarely occurred when a new bottle was opened because the bottle and contents were at room temperature and the ketchup flowed quite easily in this condition. However, when someone took a glass bottle of ketchup from the refrigerator, there was usually a different result. Usually, the bottle was taken from the cold climate of the refrigerator and placed on the table or countertop where normal thermodynamic reactions occurred. The warm air and the cold bottled contents resulted in condensation on the outside of the bottle. Two other factors influencing the situation were the density of the cold ketchup and the size of the mouth of the bottle. Thus, it was a confluence of factors which prevented the contents from easily exiting the bottle. Since the cold ketchup was less fluid, it resisted “pouring”. It was practically an automatic reaction to attempt to shake the contents out with short, violent shakes. Unfortunately, by this time, the bottle had become slippery with the condensed moisture, so that the shaking motion frequently resulted in the bottle flying from the hand much like a spear. The Bureau had a surprising large number of injuries caused by parents “throwing” the bottle into their children resulting in injuries. Following our analyses, we presented our results and some suggested remedies. Why not change the shape of the bottle or use one made of plastic? One of our subsequent studies revealed that, regardless of the brand used, people insisted that ketchup always tasted better from a glass bottle than from one of plastic. Another of our recommendations was that manufacturers design the mouth of the bottle to be slightly wider so that the ketchup could flow out more freely thus alleviating the need of aggressive shaking. It is a rewarding comfort that many of the modern ketchup “bottles” are frequently made from squeezable, healthy plastic materials. A third project involved the slip conditions in kitchen and restaurant floors. For example, the kitchen floors were normally smooth and easy to clean with soap and water. However, this led to slippery walking conditions. Workers, carrying trays laden with dishes full of food or stacked with dirty plates and utensils, frequently executed quick turns or merely stepped in a slippery area resulting in falls. On the other hand, the restaurant’s eating areas were often covered with rugs. Thus the shoes of food service personnel needed to have good slip resistant soles for walking in the kitchen yet smoother bottoms for moving about the dining area. This was a project that was easily accomplished with our video technique of filming the activities in actual settings as well as using our hydraulic force platform testing equipment on the shoe sole materials. We presented our results to the Bureau and they were able to determine standards for restaurant working environments. In additions to recommendations for shoes, we suggested that in the slippery areas in the kitchens it might be appropriate for grooved mats to be used. These mats should be less slippery when wet yet be washable to keep the area clean and sanitary. While we were working on the various National Bureau of Standards projects, I received a call asking me if my company could analyze bodily contours. It transpired that the woman was calling from Kimberly Clark in Nina, Wisconsin. I told her that we could measure any surface with dimensionality regardless of whether it was a human or an object. “Can you measure the contour of a nose on the face?” the woman enquired. “We can try” I answered, a bit perplexed by the question. We arranged a convenient time for her to visit our laboratory in Amherst. The woman was Dr. Elaine Jeville and, coincidentally, she had lived in the small city next to Amherst, Northampton, for many years prior to her eventual move to Wisconsin. We chatted briefly about our shared local experiences regarding restaurants and traffic patterns and then got down to the purpose of her visit. We were surprised to learn that the information that she needed was not for the face. It transpired that her task was to improve the fit and function of feminine hygiene products. Because the female body has irregular rather than smooth shapes and dimensions as well as undergoing dynamic changes during normal movements, feminine hygiene products were frequently less efficient than desired. Her goal was to ascertain whether the differing shapes of the female and their movements changed the products in consistent ways. If they could design the product to fit better and perform more effectively, then the company and its clients would be more satisfied. This was a certainly a new and different kind of challenge for our company. The letter to Dr. Jeveli follows. There were separate considerations for providing answers to the questions posed. One portion was to measure the product itself from all three orthogonal dimensions. The second issue was to determine how the product was altered or deformed under specific movement sequences by the woman wearing them. Initially, we had to devise a method to quantify three dimensionality. This had never been done, so we were faced with a truly unique challenge. Fortunately, we had some extremely talented physicists and engineers who were able to design a static test apparatus to quantify the three dimensional aspects of each pad to be evaluated. They designed a special calibration frame, with the pad placed in the center, which allowed the calculation of all angles from each orthogonal coordinate. 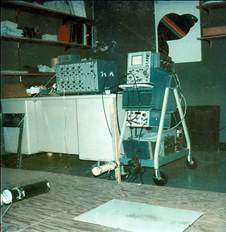 A photo of the apparatus and one sample is shown. Following the quantification of the three-dimensional contours of each of the products to be evaluated, we proceeded with the tests to determine functional deformation. Specific tasks were devised that could be performed by each woman and could be consistently duplicated between and among the test subjects. The tests included sitting on a firm chair, sitting down and getting up from this chair, walking, and climbing stairs. Following each of the tasks, we photographed the product to determine the deformation. After testing the individual tasks, we combined all of the movement tests before evaluating the products again. We found that the process of sitting down and standing up created the most pronounced changes in the shape. With deformations to the shape, its functional effectiveness was reduced. These results were communicated to Dr. Jeveli and she was more than satisfied with our findings. Following our tests, we were invited to Nina, Wisconsin to present our biomechanical methods. After the main presentation, we were asked to comment on their on-going baby diaper evaluations. Their procedure was to have women from the surrounding area come to their test facility to evaluate the behavior of their infants. Each child was diapered with cloth diapers as well as with various company products. With each separate diaper, the mother was asked “whether her child looked comfortable”. Our suggestion was for them to evaluate the baby’s movements in more scientific and quantifiable ways. They should film the babies walking with no diapers, as a baseline, and then evaluate how they walked with each of the different choices available. They obviously would have to properly protect the children with regard to privacy issues, but these specific test would provide actual human movement quantification rather than mere observation or opinions. Our understanding is that they proceeded to devise more objective testing methods based on our recommendations. Our research projects brought us income in addition to credibility and some excellent publicity. By 1975, CBA Inc. was financially able to purchase almost any technology wanted or needed to improve our methods of analysis. We were frugal in managing our business and never allowed expenditures to exceed income. In spite of carefully shepherding our funds, we were able to purchase new digitizers which were more sophisticated than the first digitizer which I had invented. We purchased additional force plates, EMG equipment, and faster computer terminals with storage capabilities. It will surprise current readers that, at that time, a 5MB storage disk was a huge circular container approximately 2 feet in diameter, nearly 2 inches in thickness, and cost about $10,000.00 each. The memory bank to power and hold these disks was more than 8 feet fall and dwarfed the computer and the graphic terminal. The Analog to Digital (A/D) converter board for the Data General computer was 15 inches square and cost around $25,000. In today’s digital world, the same A/D board is approximately 3 inches by 2 inches and would fit on the screen on a digital phone. One of our most elegant purchases was the Megatek Equipment graphic system. This system allowed us to present our data into a 3D display. At that time, a 3D presentation was possible only with hard wired, elaborately constructed computer driven boards. With this system, however, our stick figures could be animated, turned to view from any perspective, and presented in a variety of different modes at a rate that was nearly real time. This Megatek system was extremely expensive, priced about $150,000, but it set our company apart as a company as well as providing a uniquely attractive tool for our increasing number of television interviews. With all of this equipment, we were the most advanced Biomechanical corporation in the world fact and, in fact, the only biomechanical company in the world. We were fortunate that we had enough corporate contracts to run our business and acquire new equipment as we grew. Although there were some universities with biomechanical programs, they usually had minimal equipment, most of their tools were older, and most departments were poorly funded. Because we were a corporation, we operated on our own funds generated by the work that we performed with no state funding budgetary problems. 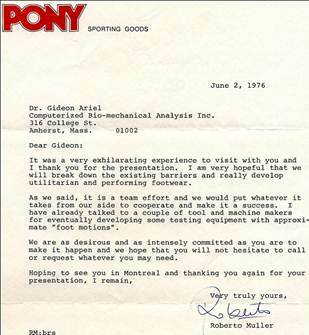 In 1976, I received a call from our old friend, Egon Rahmacher, at Spalding, congratulating me on our new equipment. He wanted to meet so we set a time and showed him all of our new equipment and demonstrated some of their applications. During our discussion, he told me he wanted to conduct a major project analyzing tennis balls. There were so many questions about what actually happens to a tennis ball when it impacts the racket and when it hits the ground. For example, how long does the tennis ball remain in contact with the racket and how long does it stay on the ground? How much velocity is lost between the impact with one racket and when it hits the opposing racket? What is the coefficient of friction with the ground and with a variety of different surface materials? How does the Spalding ball compare with its competition? These were just a few of the many questions that arose during our conversation. We agreed upon a number of questions that Egon wanted to investigate. Because of the scope of the project, we told him that we would design some research protocols and discuss them with him next week. My staff and I discussed the most important factors to be studied, equipment that would be involved, and outlined the tests to be performed. Egon agreed with all of our suggestions and told us to proceed. The first thing we needed was a special ball throwing device that would allow us to control the speed, direction, and spin of the ball. Then we had to design the laboratory setting that allowed us to record the flight of the ball and its force responses on the force platform. We could control the actions of the ball with this sophisticated ball throwing machine. By changing the surfaces mounted on the force plate, we could examine the ball’s behavior when different materials were hit. Based on our initial results, Spalding would then design a new tennis ball taking into account the data that we acquired. The final test phase would be to investigate whether the newly designed Spalding tennis balls had favorable characteristics compared with other brands of tennis balls. The first evaluation began with a dynamic test to measure impact conditions on the ball, racket, and various tennis court surface materials. We used a specially designed and controlled ball throwing device to “shoot” a tennis ball at a tennis racket that had been fixed in a special mount on the force plate. The speed, spin, and direction were programmed to duplicate those of actual tennis performance which we had calculated from actual games. We had studied both professionals and amateur players so we were able to apply appropriate values to obtain realistic results during our current ball and racket tests. The racket response and ball impact were filmed with a specialized camera that filmed at a rate of 10,000 frames per second. The camera was so rare and expensive to operate that we actually hired the owner of the camera firm and one of their trained technicians to operate the camera for us. 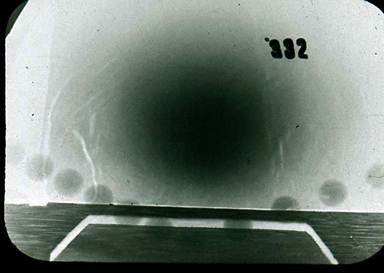 Each ball test shot utilized an entire roll of film and took only 3 seconds to shoot. Because of the uniqueness of the camera and the difficulty in operation, we would have used our entire filming budget just learning how to operate the camera. It seemed like a small price to pay to rent the camera and the operator for a few hours of work. We were able to record the impact of the ball and detect the deformation of the ball and the racket following each hit. Our tests revealed that when a tennis ball strikes a smooth surface, it deforms significantly. The body of the ball spreads out while the top and bottom are flattened. Then the ball’s body continues to move in the direction it was moving. Whether the ball remains in one position on the surface or slides forward depended upon the surface material. The higher the coefficient of friction, the less the ball slide; the lower the coefficient of friction, the move it slide. In other words, on a stiff or course tennis court material, the ball would hit and rebound with little horizontal movement. But on a smoother surface or when it hit a line, the ball would hit, slide, and then rebound. In the situation when the ball hit a line and slide, two observers could have totally different reactions. In one case, the ball would be called “in” or good while the other person might see the ball as being “out”. Actually, they would both be correct. People do not actually see the ball hit the ground. They watch the ball as it moves through the air and the trajectory that the ball follows is what is detected visually. Thus, the incoming angle could indicate that the ball landed inside or on the line. But after the ball had deformed and slide along the ground, the out-going angle would reveal that the ball was outside the line and be called “out”. It is quite difficult to see where the ball first impacts the court and where it leaves. This situation caused some of the heated discussions between players and umpires. The more modern system with instant replay and challenge systems have helped to resolve this situation. We also measured the velocity of approach, the rebound angle, the rebound velocity, the coefficient of restitution which is the ration of the velocity of approach to the velocity of the rebound. We studied kinetic measurements of the forces, moments, holding time, momentum and friction. All of these factors would affect the player’s ability to hit and return the ball and, frequently, determine how well the individual’s personal enjoyment or frustration with the game. Our research revealed that “faster” or “livelier” tennis balls are not necessarily a desirable factor for the tennis game. Test results indicated that a tennis ball with longer residence time on the tennis racquet was easier to control. At the same time, a longer flight time after rebounding from the surface enabled the player more time to react to the shot. The experimental results combined with antidotal comments by the players we interviewed indicated that most players enjoyed playing tennis when there were more hitting rallies rather than quick service games with forehand or backhand interplay. Using these results, Spalding designed a new ball with different internal pressure. Based on our studies, Spalding designed a new tennis ball with specific characteristics. The hardness of the tennis ball was an important component of its behavior particularly since playing surfaces significantly affected the behavioral characteristics of the tennis balls. They also created the ball with more density in the core and the felt outer core covering which allowed them to reduce the internal ball pressure. The interaction of materials enabled the ball to retain its playability and eliminated the need to ship or store the balls under pressure. This greatly reduced the cost of manufacturing. 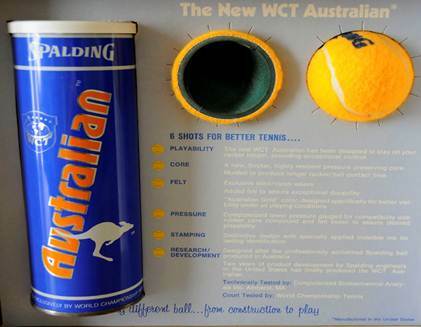 Spalding named their new ball “Australian” and it was very successful. We were quite pleased as well when Spalding rewarded us with a royalty of one cent on each ball that sold. We were able to conduct all of these projects with a staff of 5 and usually enlisted university students to help us process some of the routine data processing. It allowed the company to function very efficiently. We were able to use the highly educated staff to design and interpret the data while rely on students for much of the more mundane work. The students worked hard but were happy to receive the lucrative financial reward that we were able to provide. That year, I had a joint appointment in the Exercise Science Department and the Cybernetics Department which gave me access to amazing levels of intellectual and academic power. If I needed any help in the area of engineering or computer software development, I could easily find it. There were other advantages as well. One advantage of my joint appointment was that I was able to take both undergraduate and graduate courses in any area that intrigued me or seemed necessary to improve my background for biomechanical work. I decided that I needed to take all the basic engineering courses which included statics, dynamics, strength of material, and hydraulics. I also considered it important to take all of the undergraduate pre-requisites in physics before I proceeded with the graduate classes. One of the pre-requisite math classes was Numerical Analysis” and was taught by Dr. Albert Storey. My experience with math classes were quite, calm, staid professors writing lengthy mathematical proofs on the black board. Normally, I was able to copy the equations from the blackboard and study them at home. However, all of my math class experiences flew out of the window in Dr. Storey’s class. Albert Storey was young, dynamic, and very enthusiastic about his subject. He was my first professor who seemed to bounce rather than walk. He jumped and hopped up and down as he moved around the room all the while continuing to elaborate about the day’s mathematical concepts. He even jumped up onto the desk and “held” some of these imaginary sets of numbers in the palms of his hands and waved them in the air. I believed that, to Dr. Storey, these imaginary sets were actually “real”. I do not mean to imply that I thought he was crazy but he was so immersed in his subject that these sets were as realistic as he could make them in order for the students to comprehend the mathematical idea he was presenting. However, his most difficult tactic for me was that while he wrote equations with his right hand, he erased the board with his left hand. This forced me to learn how to write very quickly! Dr. Storey was the most animated person I have ever seen teaching any subject matter but to be so enthusiastic about mathematics was truly unique. If all teachers were as excited about their subjects as Dr. Storey was, more students would be enchanted and captivated about learning. Dr. Storey gave mandatory quizzes every Friday. If you missed the test, you automatically received an “F” without exception. After a Wednesday class during the Fall semester, I informed Dr. Storey that I would be out of town on Friday at a conference and would miss the quiz. I enquired whether there was any way that I could take the test early or the following Monday. He was unsympathetic and presumably did not believe my explanation regarding my absence. “Bring me a copy of your talk and the details about the convention. I’ll look through the material and see if there is an acceptable justification for your absence” he told me skeptically as he walked off in the direction of his office. I hurried to our CBA office to prepare the papers. I printed the research papers that I was to present and all of the details about the convention. Included was the program listing and I circled my name in the two sessions where I was presenting. I also included the thesis for both my master’s and doctorate and 15 of the articles that I had published as of that time. I put all of this material in a large envelope and delivered it to the mathematics department office for Dr. Storey. Then I left for the conference. The following Monday I went to the “Numerical Analysis” class as usual. When Dr. Storey entered the classroom he shouted “DR. ARIEL!” several times, very loudly. I sat wide-eyed and silent not knowing what to do. “DR. ARIEL, why didn’t you tell me who you are and what you have accomplished? You do not have to come to class and you do not have to take any of the quizzes. I am honored that you attend my class” he continued. I was amazed by this response and I must have blushed a bright red with his outburst. I assured him that I wanted to take the class to learn the information and that the quiz was a good way to determine whether or not I actually understood the concepts. He proceeded with his lesson but, after the class, he apologized for what he thought was an insult and I assured him that I was not offended in any way. Plus, I enjoyed his class very much and was learning quite a lot from him. Another undergraduate class I registered to take was in engineering and was taught by Dr. Paul Tartaglia. Professor Tartaglia assigned the class five homework problems at the end of the first class. Instead of using a slide rule, paper and pencil, I decided to write each problem as a program using a simple BASIC language for the code. My idea was that if I were able to determine how to solve the engineering problems using the step-by-step logic that computer programs require, then I could be assured that I understood the problem as well as the underlying physics principles. My goal for taking the class was not to obtain an undergraduate degree in engineering. My goal was to understand the engineering and physics. I submitted the assignment printed on a yellow paper which all computer terminals used at that time. At the beginning of the next class, Professor Tartaglia called me up to the lectern. Needless to say, I was shocked at this response. I explained to him what I had actually done to produce the pages of answers that he held in his hand. I explained that to write the program for each problem was much more time consuming than merely solving the individual problem. For me, understanding the problem and the subsequent answer was much more important to me than to just follow some rules of computation. I stressed that I was interested in building a foundation of engineering and physics knowledge. This was the reason I was taking his class and why I had spent so much time on programing the assigned problems. I invited him to visit my CBA lab to see what we were doing for projects and what type of equipment we had. Dr. Tartaglia learned, as Professor Story had found before, that I already had my Ph.D. Paul became quite friendly from that point forward. He was always willing to explain things that I asked. In fact, when I needed to construct the Cam for the Universal Gym Company, I hired Paul to do the calculations. After that projects, we hired him as our in-house engineer while he continuing to teach at the University. Unfortunately, after about two years, he was offered a joy at another university. It was one of those wonderful opportunities that only come along once in a life time so we reluctantly saw him leave although we were happy for his good fortune. My life had become very full. In addition to all of our CBA projects and the extra classes which I was taking, there was also my involvement with my joint appointment with the department of Cybernetics. Cybernetics is the interdisciplinary study of the structure of neurological regulatory systems. Cybernetics is closely related to information theory, control theory and systems theory. Cybernetics is most applicable when the system being analyzed is involved in a closed signal loop. In other words, action in the system causes some change in its environment and that change is fed to the system via information (feedback) that causes the system to adapt to these new conditions. Thus, the system's changes affect its behavior. This "circular causal" relationship is necessary and sufficient for a cybernetic perspective. I had learned about this area by taking classes from the head of the department, Dr. Michael Arbib. Dr. Arbib was a world renown expert in neuroscience with a particular interest in the architecture of the brain. I had taken nearly all of the courses in the cybernetics department that were available to me and I was fortunate to have had Dr. Arbib teach several of them. Thus, he and I had enjoyed the luxury of spending many hours discussing the interrelation between the nervous and the musculo-skeletal systems and how they should coordinate to produce movement. Dr. Arbib’s interest was how the brain structure and functions interacted to produce movement. My focus was on the resulting motions of this neurological structure and function. 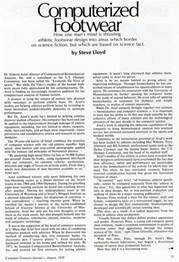 We concluded that it would be of scientific benefit for both of us to combine our strengths to investigate some activities that each of us could monitor or regulate from our own unique perspective. The Department of Cybernetics, under the innovative leadership of its Chairmanship, Dr. Arbib, received a number of grants leading to some amazing research studies. Even after all these years, I am honored and proud that with our assistance at CBA, we were significant contributors to these studies. CBA provided all of our equipment and expertise without compensation. My staff and colleagues at CBA were interested in the research and were more than willing to contribute time and effort merely for the good of science and as a contribution to knowledge. Another aspect of change is that current day researchers are confronted with the monetary demands of test subjects which were completely unknown during the 1970s. I felt a personal obligation and responsibility to Dr. Arbib as an Assistant Professor in his department. I was able to use some of the research working towards a post-doctoral degree in Cybernetics and I was considered as a Post-Doctoral student in the department in addition to my professorship. Dr. Arbib hired me in his department, in coordination with the Exercise Science Department, with the aim of conducting research that would expand and diversify what each of us could do on our own. This more extensive perspective on understanding motion would enable him to obtain larger research grants. One of these grants was for $700,000 for the University of Massachusetts was from the National Institute of Health (NIH). The research proposal with the NIH was designed to study the logic of movement with a focus on the nerves in the cerebellum. The cerebellum (Latin for little brain) is a region of the brain that plays an important role in motor control. It may also be involved in some cognitive functions such as attention and language, and in regulating fear and pleasure responses, but its movement-related functions are the most solidly established. The cerebellum does not initiate movement, but it contributes to coordination, precision, and accurate timing. It receives input from sensory systems and from other parts of the brain and spinal cord and integrates these inputs to fine tune motor activity. Because of this fine-tuning function, damage to the cerebellum does not cause paralysis, but instead produces disorders in fine movement, equilibrium, posture, and motor learning. The funding requested from the National Institute of Health was to provide a two front approach to studying the cerebellum. One aspect was to create a computer graphics simulation of the spinal circuitry with both reflex movements and limb locomotion. The second portion of the study was to provide experimental data on the biomechanics of movement using the computer analysis of cinematographic records which I, and our CBA laboratory, could provide. 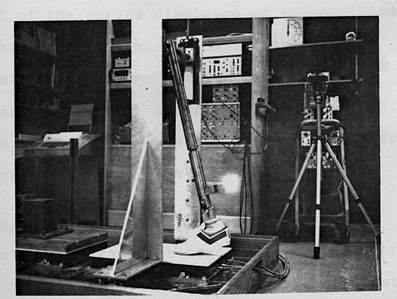 At that time, our CBA laboratory was the only one in the world that could film movements and provide the orthogonal components of the displacement of the limbs as well as the velocity and acceleration of those parts. In order to more accurately arrive at a computer simulation of the brain’s activity based on movements, the internal controls could best be estimated if specifically measured data could be provided. That was the unique contribution that I was able to provide to Dr. Arbib and his Cybernetics department and colleagues. 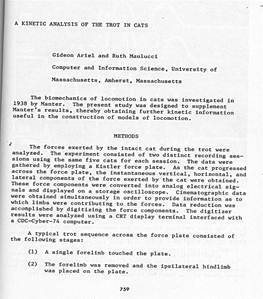 Two professors at the Department of Cybernetics were Dr. Spinali and Dr. Kilmar, who had both taught Ann and me. Each of these professors was investigating differing aspects of neurological controls. Their investigations would provide some direction for the research studies to follow. One of Dr. Spinali’s research studies involved 3 groups of cats. One group was blind-folded from the day they were born. A second group had one of their eyes covered with a vertical slit and the other eye was covered with a horizontal slit. Thus, the second group had vision but it was severely restricted to the horizontal or vertical. The third group of cats was the control group which was allowed to experience normal vision. Initially, Dr. Spinali let the kittens grow for a few months, fed them appropriately, and provided exercise on a mechanical treadmill. The young cats, unfortunately, were sacrificed in order to examine their visual cortex cells under the microscope. The researchers found that the visual cortex cells reflected the life-conditions they had experienced. The visual cortex cells revealed actual physical development in the vertical and horizontal arrangements consistent with their visual restrictions. Dr. Spinali concluded that our experiences really can create physical templates in our brain. However, my most unusual, or perhaps unruly, research study was about to begin. The research was to analyze the initiation of coordinated limbs in walking and running cats. Why does the cat move faster in a fast walk as compared to a slow run? What causes the cat to switch gaits? The quest was to determine as many answers regarding the movement patterns in the cat and try to determine the programming or neural architectural control in these animals. Perhaps brain patterns or understanding the neural controls of movements in feline locomotion could provide insight for human. I was teamed with a brilliant mathematical doctoral student, Ruth Malucci. She was working with Dr. Arbib as his doctoral student and research assistant. Her expertise was solving simultaneous equations and the goal in our cat study was to determine which movement parameter(s) a cat used in determining its gait. This required narrowing the number of elective choices the cat had by solving the vast numbers of options in the mathematical equations of motions. Our first hurdle was to convince our cat to run on the treadmill. I named the cat Putzi but responding to her name was one of her few cooperative activities. She mostly was inclined to hide under the treadmill than to run on it. Actually, the treadmill was an antique Ruth and I found in one of the lab storage equipment rooms and it sounded more like a garbage truck than a treadmill. When the motor was activated to run the treadmill, the sound was so loud that the windows vibrated. Imagine the trauma Putzi experienced and try to envision the confusion she must have had. We were in a quandary concerning what and how we were going to obtain gait data from a traumatized cat. We had arrived at a difficult challenge point with no clear solution and might even have to stop the project before we could began the study. I decided to introduce Ruth to Ann and perhaps they, the two cat lovers, could find a solution to the problem. Ruth and Ann became close friends very quickly and Putzi and I merely putty in their hands. Our collective decision was to try an entirely different technique to elicit movement patterns from the cat. We took Putzi to our CBA laboratory and turned her loose so she could explore the premises. After she was comfortable in the setting, we used food to attract her from one end of our CBA lab to the other end. Our testing sequence followed a standard procedure. I operated the camera while one woman held Putzi, then released her to run to the food being offered by the other woman. Putzi was a quick learner and understood the food-running drill after only a few trials. From that point forward, she would very cooperatively walk or run and, fortunately, on most of the trials, she stepped on the force plate during the trip. The major problem after we solved the training strategy was to keep her interest in the food particularly as her stomach became more and more full. While she seemed very happy to participate in our research study, Putzi did have some other, more independent, ideas. She produced three kittens! After they were old enough to be without their mother, Ruth raised the kittens in her home. Eventually, these kittens grew up and produced more kittens until we had a total of twenty-two cats. They were all skilled at running across the force plate between Ann and Ruth. Perhaps a more apt description was from a human to their food. It would be nice to anthropomorphize their thoughts as contributing their efforts to science, but I think it was really only about food. The cats lived at the University in a special housing room just for them. Every Friday, Ruth would bundle all of the cats into carrying crates and drive to our lab. They would stay in the bathroom-storage room area until we tested them on Sunday morning. This worked well for all of us since the CBA staff left for the weekend on Fridays and returned on Monday mornings. Ann and I worked every weekend, so we were always there to make sure our feline family was happy and content during their weekends away from their University home. Every Sunday morning, Ruth, Ann, and I would film each cat as it walked, trotted, ran, and galloped. Their rate was dramatically linked to their hunger level. By the time they were satiated, sitting and washing their paws and faces was the only task left that they were interested in performing. Since Ann and I were the only CBA personnel in the lab during the weekends, we were more than willing to help one of our fellow graduate student friends in physical anthropology when he asked us to help him test his monkey, Daisy. Dennis, the student, was working on the locomotion of monkeys and wanted to measure the forces which the monkey produced during a jump and how the leap effected the growth of the bone development. Dennis had successfully correlated some movement parameters with his research monkey, Daisy. However, he need some actual, quantifiable movement data to evaluate whether any of his theoretical concepts regarding causation of some of the bony structures on the ancient artifacts that he was studying were consistent with actual activity patterns. “Of course” was my answer. Little did I know what excitement would ensue. On a sunny Spring day, Dennis and his assistant arrived at our CBA lab with Daisy, the monkey. Dennis was a huge man well over six foot five inches. He had bushy hair and a full beard. Dressed in denim coveralls he resembled a giant, mythical lumberjack. Despite his enormous size, he was one of the most gentle, soft-spoken people I have ever met. One test that Dennis wanted to perform was to have Daisy jump down from a table onto the force platform and the second test was for her to jump up onto that table. In addition to the force data, we would film the movements so Dennis could use the kinematic data to complete his study. Dennis walked around our lab with Daisy on her leash so that she would become familiar with all the equipment and whatever else monkeys need to know in new environments. In the meantime, Ann and I set up the cameras, lights, and force platform controls. After everything was arranged, it was time for Daisy to jump up and down from the table. Unfortunately, human ideas and monkey behavior are not necessarily on the same wavelength. Dennis would try to have Daisy jump down from the table but Daisy was interested in jumping sideways or up towards the ceiling lights. We tried the other test, but Daisy was not interested in jumping up onto the table either. Dennis and his helper offered her bananas and other monkey treats but mostly, she was interested in going in all the other directions rather than up and down. Finally, she demonstrated her complete distain for her handlers by jumping down onto the plate and performed a bathroom task! Yuck! Of course, scientific research proceeded after a brief clean up. Daisy was more cooperative after her independent delivery so we were able to record her leaps up as well as those jumping down. After our exciting lab experience, Dennis was very happy although quite embarrassed, by Daisy’s performance. Suddenly, the front door opened and in walked our CBA chairman and co-owner, Larry Graham. Imagine the shocked look on his face when he saw our sophisticated laboratory filled with monstrous hairy human, a monkey screeching and jumping on a leash, and banana pieces flying around the room. Ann and I were speechless. After a brief moment, all of us regained our speech and began talking simultaneously. Finally, poor shocked and confused Larry held up his hands and we all became quiet. Larry said that he had just completed a meeting at the local branch of the bank and decided to drop in to say hello. He continued that he would just use the bathroom and be on his way. Ann and I were flabbergasted and had no idea what to do or say. We had never told Larry about the cat study. So, of course, he had no reason to know what was waiting in the bathroom. We held our breaths as Larry opened the bathroom door and out flew twenty-two cats! Daisy went completely wild! Dennis and his assistant had their hands full while Daisy tried to catch first one cat and then another. The cats were racing around the lab high and low looking for food. Ann and I were torn between hysteria and trauma. Larry stood motionless, speechless, and stared into the now empty bathroom. Slowly, as though in a dream, he turned. With a confused expression on his face and in his voice, he said he would just go home and would see us on Monday as he walked out the front door. After several months of data acquisition, Ruth declared that she had enough trials of each gait. The cats were allowed to hang out in their University home while she began the lengthy and laborious task of tracing and recording the values needed for her complex and complicated mathematical equations. She spent two to four hours every day and double that number on the weekends. This time together solidified the already strong bond of friendship between the three of us. It was at this point that Dr. Spinali wanted to de- cerebrate the cats. His goal was to determine whether or not the cats possessed “spinal generators”. The neurological concept of “spinal generator” was based on the theory that there are automatic or reflex type actions resident within the spinal column which eliminated the need for higher level brain or neural input in order to produce movement. It became clear that this portion of the study from the N.I.H, which was providing the funding for the research we were pursuing, was totally unacceptable to some of us. 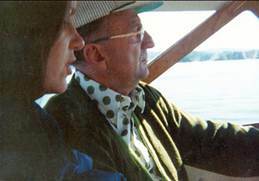 “De-cerebrate” meant that Dr. Spinali would cut the connection between the spinal cord and the brain but not euthanatize the cats initially. After he completed his, to us gruesome research, the cats would be sacrificed. When Ruth and Ann heard about this aspect of the study, they were distraught yet determined to save the cats. They subscribed to the concept that “These cats had already given their lives to science; they do not have to die for science.” There had to be a way to satisfy the NIH study proposal without killing the cats. We had to present a logical, persuasive alternative test which would produce the information required. My suggestion was that instead of mutilating the cats, we would restrict the movement of the cat’s head by having them wear a harness or a visual blindfold so the cats could not see the ground while they ran. We would create an environment that allowed the cat to move as normally as possible but prevented them from seeing what lay in or on the ground in front of them. This would provide a better comparison between normal and visually restricted behavior. The acquired data would reveal a more normal adaptation of their nervous systems to their movement experiences and whether there were differences in the gait parameters. Ruth’s mathematical equations would be based on data from intact animals rather than on normal and unrealistically abnormal ones. We compiled a list of comprehensive and persuasive reasons why the research study should be modified. Although our reasons were very personal and “animal friendly”, we believed that the resultant data would provide more realistic information regard brain control mechanisms and/or decision making. This was, after all, the goal of the research. After a number of meetings with Dr. Arbib, he agreed with our modified research proposal. We then had to convince the N.I.H. that these procedures would allow us to collect more and better information than by using the more cruel method which had originally been proposed. Our rationale and well-conceived alternatives were readily agreed to by the NIH committee sent to evaluate our study. Ruth, Ann, and I were so thrilled although the cats appeared rather blasé about their fate. Perhaps, they were as terrified as we were but we just better actors! We proceeded to collect the movement data using equipment to modify and restrict the cat’s vision. In addition, we added an additional activity. We created a depression in the floor which was equivalent to missing a step for a human walking down stairs. The cat would be moving horizontally and, suddenly, the ground would be gone just like a missing step. Needless to say, being cats, their locomotive skills allowed them to quickly recover and continue the path towards their food. However, we were able to record the kinematic parameters of this disturbed motion pattern. The data collection was now complete using normal and impaired vision as well as a physical disruption with which the feline brain had to cope. 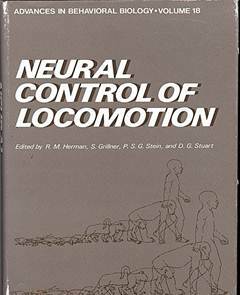 The results revealed some underlying principles in the neural control of locomotion in cats. This information provided some interesting challenges on how the human brain may control our movement when we are walking and running. Dr. Arbib was extremely enthusiastic about the quantity and quality of the research and excited about the neural architectural concepts which he could incorporate into his own research. This study was submitted and accepted for publication in “Advances in Behavioral Biology” in 1974. The publication is shown in the following figure. We had collected all of the data we needed and our studies had been presented and published. Now we had to find homes for our 22 beautiful cats. Ruth and Ann were resolute and conscientious to find a loving home for each cat. They placed advertisements in the local newspaper, called friends and family members around the US searching for the right home for each of the 22 feline personalities. Eventually, they were all placed in welcoming, loving homes and Ruth and Ann were able to relax. The mission was accomplished. Dr. Arbib had quite extensive research findings to puzzle over in his quest to understand the human brain architecture in contrast to feline neural structures. Ruth received her Ph.D. and went to Philadelphia to pursue a further degree. Ann was happy with her contribution to the NIH study and returned to work on her own Ph.D. I began to enjoy the extra time for my own work on Sunday mornings. Of all the participants, perhaps the cats had the best ending to the study although they were unaware of what their fate had originally been. Maybe the idea of cozy, comfortable, loving homes is more than a mere dream. After our cat research, CBA’s work made another unusual transition. If you had asked me at that time, as a former discus thrower, a biomechanical expert in numerous industrial applications and equipment design, as well as a recent student of feline locomotion what I knew about the violin, I would have answered that I liked listening. However, I never imagined that our company would find an application in the field of classical music. Although I loved classical music and we listened to the local Public Broadcasting Station in our lab, I was surprised to receive a call from a famous violinist by the name of Paul Zukofsky. He asked if he could visit our lab so we set a date in two weeks. I confess that I was puzzled about why he wanted to come to our lab with his violin. Two weeks later, Paul arrived in our laboratory in Amherst. He explained that he had some grant money from Bell Laboratories in New Jersey. Things began to make more sense as he described the relationship between Bell Labs and music. He was particularly interested in studying specific violin performances, such as executing some arrangements by Paganini, which many violinists were unable to perform. He pointed out that, to date, there had been virtually no integrated studies of such a highly complex skill as violin playing. As the hours passed and we discussed the issues that he had, I realized that his questions ultimately related to the limits, correlations, and constraints on the cooperation of hands and arms when playing the violin. It became apparent that the biomechanical technique of evaluating a violin performer was not that different from analyzing a Shot Putter or a Discus Thrower. Basically, quantifying motion using our kinematic techniques was applicable to most movements. Our motto “if it moves, we can measure it” was appropriate for playing the violin as well as throwing the discus. After a day of discussions, we agreed on the details for a research study. Mr. Zukofsky was confident that Bell Labs would agree to fund the study and we arranged for him to return to Amherst to perform. We made sure that he understood all of the equipment that he would need to bring on that day so that we could acquire all of the data in one session. He needed to bring his instrument, a music stand, and the sheet music that he planned to play. In addition, to perform the most accurate biomechanical analysis, the joint centers should be exposed as much as possible. This usually resulted in the study subject in bare feet wearing only shorts and sleeveless shirts. Needless to say, this was not the normal attire for a concert violinist. However, to achieve his research goals, Paul agreed to most of our clothing requirements. Shorts and a sleeveless shirt were acceptable but he insisted on wearing his concert shoes! Apparently, shoes really do “make the man”. In order to perform a three-dimensional (3D) analysis at that time, we had to film from three orthogonal perspectives simultaneously. The first two views were from the front and from the side. However, we really wanted to have an overhead view. Therefore, we would have to film outside since we would have to place the third camera on the roof. Since the operator of the roof camera had to be suspended out and over the violinist, we had to hire a local building contractor to arrange the support. At last, the filming arrangements were complete. 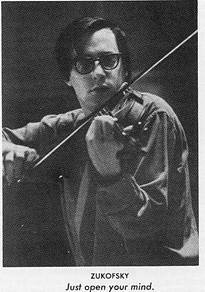 Now we had to have our violinist, Paul Zukofsky. The day of testing was a relatively normal late Spring day in western Massachusetts. That is, not too cold or hot and partly cloudy. Paul would have to stand on a pedestal outside our laboratory facing the busy road and play the musical segments that his study involved. We began the filming session with his first musical selection. Imagine the scene as it unfolded: a store front between a paint store and a sandwich shop on a busy road; three groups of photographers, one of whom was suspended from the roof, with notepads and signs to identify each of the silent picture selections; and a semi-naked man playing a violin. Before long, the cars on Route 9 began to stop and watch this bizarre tableau. Soon the local police arrived to determine what was causing the traffic jam. They were very skeptical but I assured them that we were actually performing research which could not be conducted indoors because we needed the overhead camera view. Finally, I convinced them that we needed only a few more hours to complete our work and then we could go back inside our office. After we processed the film data, results were fascinating to us and to Paul. Violin playing is a highly developed and coordinated skill whose functions are delineated by precise rhythmic and timing commands more so than many other human activities. For instance, we discovered that for traditional violin playing, the arm holding the violin must remain “fixed” and steady, while the arm and hand holding the bow executes all the moving action. When this restricted motion is employed, some violinists are unable to play certain portions of more complex musical scores. However, by allowing the “fixed arm” supporting the violin to move in coordination with the bow hand by moving the violin back and forth at appropriate frequencies, many violinists could now play specific notes which previously had been impossible for them. Paul was enthusiastic to learn these results and could hardly wait to let Bell Labs know about these findings. We soon found ourselves in another arena appropriate for biomechanical analyses which were product liability and insurance claims. Since our biomechanical system could evaluate movement parameters with a high degree of precision, we were able to produce specific quantifiable results without subjective bias. This objectivity was particularly important in cases of injuries or fraud cases which were frequently influenced by inadequate or mistaken information. This means that insurance companies are often the victims of false claims but have few tools at their disposal to dispute them. CBA was approached by several corporations to investigate claims which had been made. These insurance companies had learned that, because our analyses were scientifically based rather than on guess and opinion, we were able to provide definitive information about various products and their uses. We also learned that law firms frequently were most interested in the facts rather than whether the product had performed correctly or not. In order to prepare proper legal defenses, lawyers needed accurate information. One of our first studies involved Dow Chemical. We were approached by the law firm of Corlett, Merritt, Killian, and Sikes, who were representing Dow Chemical and their insurance carrier, Fireman’s Fund. They were very concerned about a sad and unfortunate case involving a severely injured gymnast. A promising high school gymnast in southern Florida was completing his regular afternoon gymnastics training session. The young man was devoted to his sport and spent many extra hours practicing old skills as well as trying to add new “tricks” to his routines. On that particular afternoon, following a rigorous training session, he wanted to try his newest floor exercise running stunt without using the support harness. At that point, he felt that he had mastered the trick and wanted to perform it before he quit for the day. He raced across the mat, executing front and back acrobatic maneuvers, and then launched himself into the air for the final backward rotating somersault round off which would open up as he landed on both feet facing the opposite direction from the takeoff. Unfortunately, the young man was unable to complete the rotation and landed on his head and neck. His neck was broken and, when the lawyers visited us in Amherst, the young gymnast was in an iron lung. “What had gone wrong and who was to blame” was the question put to us. By that point, everyone involved had been sued: the gym owners, the coaches, the manufactures of the mat materials. Dow Chemical had manufactured the material, ethafoam, used inside the mat and, it was alleged, that there had been negligence in manufacturing. We were amazing to learn that ethafoam had been originally developed by Dow specifically for the US Department of Defense as packing material for shipping bombs to Vietnam. Now, it was being used for a more peaceful purpose but was it the appropriate material for gymnastic mats. We proceeded to test all of the mats supplied by Dow. They provided mats of various thicknesses from one-half inches to four inches with and without the gymnastic outer covering as well as all of the other gymnastic mats marketed at that time. We located a Connecticut university gymnastic team who had gymnasts of similar size and skill levels. We filmed these athletes performing the same “trick” that the injured gymnast had tried to execute. With this actual performance information, we subjected the test mats to our computerized hydraulic material testing equipment using the force platform to record the forces. These tests provided interesting results. 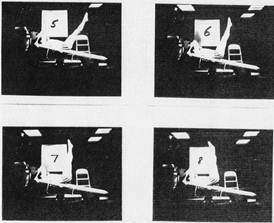 The first issue concerned the forces necessary for the gymnast to successfully execute the complete rotation and land on his feet. We were able to quantify these forces and presented a table based on the gymnasts we had evaluated. Then we used those forces to “impact” the mat and were able to provide a table of those values as well. We had tested gymnasts and all of the different mats. Essentially, we concluded the thickness of the mat used in Florida was appropriate for executing the “trick”. At the time he attempted to execute this stunt, he was unable to generate enough force to completely rotate his body. Perhaps he was too tired since it was at the end of a long, rigorous session or maybe he was slightly off balanced at take-off. These or other reasons prevented the gymnast to generate enough force to complete the turn and resulted in landing on his head and neck. Unfortunately, there are no mats which are soft enough to land on your head and neck but which are sufficiently firm to takeoff and execute the skill. There are foam pits designed for soft landings, such as pole vault and high jump pits among others, but they are completely inadequate for takeoff forces. The foot, leg, and hip joints are designed by nature to provide shock absorption but there are no shock absorbing characteristics in the joints of the neck or the head. Had the young man landed on almost any other part of his body, in all likelihood, the damages would have been less severe. Our analysis, thus, demonstrated that it was impossible for a substance to be both non-resilient enough to permit an individual to complete such a somersault round-off trick yet resilient enough to absorb an injury of the kind experienced in this study. Dow Chemical and their insurance carrier were much more sympathetic than many corporations and insurance carriers of our more modern times appear to be. They offered an extraordinarily generous settlement to the boy and his family which would provide financial relief to them immediately rather than join a protracted legal entanglement. I am pleased to report that despite the terrible tragedy that the family had to endure, at least they did not have to worry about the financial costs. Another case we were hired to perform our biomechanical analysis on involved an injury on a trampoline. A young female athlete was practicing on the trampoline, executed a backward flip, and landed on the edge, rather than the center of the trampoline. She broke her neck and the family sued the trampoline manufacturer. We learned, through our studies, that people are easily able to increase their jump heights on a trampoline. Unfortunately, being able to reach greater heights does not necessarily mean that the skill to execute various stunts is as easily obtained. In other words, if someone offered you $20.00 to jump from the floor and perform a back flip, you most likely would think twice about your ability to successfully do such a task. But if you were standing on a trampoline and were offered the same $20.00 challenge, you would more readily considerate it. Because you can bounce higher and higher on a trampoline, you would believe that you could execute a backwards flip. In all likelihood, as you bounced higher and higher, you would be able to flip over backwards, but would you be able to control the stunt and would you land on your feet? Most people realize the risk of trying to jump backwards from the floor but fail to realize that it is even more dangerous from an elevated height on a trampoline. Although you have reached a height that allows you to actually flip over, you will impact the trampoline surface from a greater height than you would ever been able to achieve from the floor. This increase height significantly increases the risk to your body particularly if you land on your head rather than on your feet. While trampolines can be fun and are becoming common, American football seems to grow in popularity in many school grade groups, professional and semi-professional teams, and even across international boundaries. Unfortunately, football injuries also seem to increase every year despite the efforts to improve skills, coaching, sideline physical training, and protective equipment. A liability case involving a football helmet was brought to CBA and we were asked to evaluate this helmet and their competitors’ products. We were provided films of the actual injury since one of the local television stations had been at the game. The injured athlete had a severe neck fracture and was now a quadriplegic. Sadly, the injury resulted from a type of tackle known as “spearing” during which the player attacks with the head, keeping the shoulders and torso rigid. In any tackle, the forces generated have to go somewhere. If the helmet were softer or had a “bumper” like on the front of a car, the forces would be reduced during the impact. Since the helmets are rigid on the outside, despite the foam interior, the forces are directed to the next part of the “chain” which, in this case, would be the neck. The neck has no shock absorbing structures, so the forces generated resulted in the athlete’s neck fracturing. A solution to such a situation would be to have the helmet and shoulder pads joined in some fashion to provide a method to reduce the impact forces. This type of tackle is illegal in today’s football but there still are no well-designed helmets for reducing, buffering, or deflecting forces resulting from impact. One of our most high profile cases involved Johnny Carson who, at that time, was a well-known television personality. Mr. Carson contended that he suffered an injury to his neck and back as a result of falling from an exercise slant board. His contention was his fall was a direct result of the slant board malfunctioning. Mr. Carson filed for $500,000 in damages against LNR Industries and their insurance carriers. The company and their insurance carriers contacted CBA for us to evaluate the claims. Their goal was to determine whether they had a defective product and, if so, how they could correct it. In our Amherst laboratory, we studied the description of the accident that Mr. Carson had given during his deposition. We then replicated the activity exactly as he described using a test subject the same size and weight of Mr. Carson. In addition, we had the test subject perform the exercise following the precise directions from the slant board company which accompanied each one of their products at time of purchase. We employed high speed cinematography to record these replicated movements and then performed our computerized biomechanical techniques. The results of our biomechanical analyses revealed different outcomes depending on the exercise technique employed. The slant board manufacturer specifically described how the board was to be placed at the top and the bottom. In the instruction manual, the feet were to be slipped under the bar at the top of the board and then the head and body were raised or curled up towards the feet. The purpose of the slant board was to provide exercise for the abdominal region and, when the user followed the directions, it was virtually impossible for the slant board to tip. However, the technique that Mr. Carson employed was to hold the bar at the top of the board with his hands and to raise his legs upwards and towards his head. This abdominal exercise technique was a viable alternative but with the restriction that the legs should only be lifted into a vertical position which was perpendicular to the floor. Under no conditions were the legs to be elevated higher such that the feet reached the head. When the legs were raised over the user’s head, the board became unsteady. The results of raising the legs over the head caused the board to tip and the user fell. Since he used the board incorrectly, by reversing the head and leg positions, Mr. Carson produced a situation which caused the board to flip over and he fell. We presented our finding to the LNR Industries and the lawyers representing their insurance carrier. These findings were not received with joy by the opposing counsel. They contacted an independent engineering firm, Truesdail Laboratories to have the board analyzed. Truesdail Laboratories confirmed our results. In addition, they indicated in their report that our results were more accurate than anyone else could produce since we had employed a dynamic analysis whereas they were only able to execute a static analysis. Mr. Carson withdrew his suit. While we were working on the Carson slant board project, we were contacted by another sporting goods manufacturer, AMF. At that time, AMF was involved in a variety of sports products and sold many of the same types as did Spalding and Wilson Sporting Goods. In 1971, American Machine and Foundry had been renamed AMF. 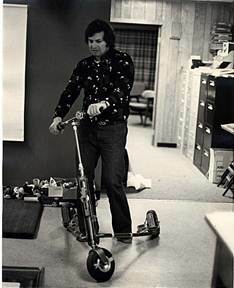 For many years, the company had produced a wide variety of sport and leisure equipment, including Roadmaster bicycles, Harley-Davidson motorcycles, Head snow skis and tennis racquets, snowmobiles, lawn and garden equipment, Ben Hogan golf clubs, Voit inflatable balls, exercise equipment (including exercycles), motorized bicycles, mopeds, SlickCraft powerboats, Alcort sailboats (including the Sunfish and the Hilu), Hatteras Yachts, and SCUBA gear. 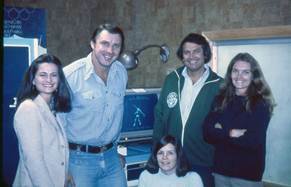 In the 1970s, in a reference to its numerous leisure product lines, the company began a TV advertising campaign centered on the slogan "AMF, we make weekends". The first project AMF proposed to us involved their tennis rackets. They wanted to reduce the strain at the elbow which caused “tennis elbow”. Their goal was to change the “sweet spot” on the racket into order to reduce or eliminate rotation caused by hitting the ball at the wrong point on the racket. What is the “sweet spot” of the tennis racket? 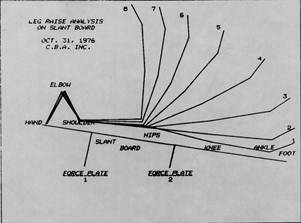 The term “sweet spot” is commonly used to identify the center of percussion. 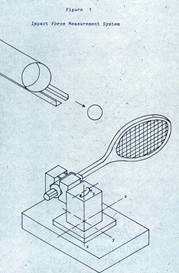 The center of percussion is the point on an object, in this case the tennis racket, where a perpendicular impact will produce translational and rotational forces which perfectly cancel each other at some given pivot point, so that the pivot will not be moving momentarily after the impulse. The center of percussion may or may not be the "sweet spot" depending on the pivot point chosen. In addition, this description only works for a racket rigidly mounted in a stand. When a human holds the racket in the hand, the hand, arm, and shoulder must also be factored into the equation. Most people think that a tennis ball should strike the racket face exactly in the center in order to hit the “sweet spot”. However, the racket is more than its face with regards to its “sweet spot”. The handle, grip, and the arm holding the racket must be considered as part of the mechanical system. Therefore, the “sweet spot” is more correctly located away from the geometric center of the racket face and more towards the junction of the head with the shaft of the racket. We proposed a project to AMF to determine where the “sweet spot” was located under three different conditions. One condition was when the racket was rigidly fixed in a devise mounted to the force platform, when it was allowed to hang from a rope, and when it was held by a human. At that time, tennis rackets were primarily made of wood with nylon or gut used as strings. These were in the days before the technologically advanced composite materials used in frames and the equally advanced strings compositions which are common in the modern world of tennis. In addition, most tennis stokes were “flat” hits which means that there was little use of backspins, slices, or twisting. Therefore, our study examined all of the leading wood rackets and we strung them with gut and with nylon. In retrospect, there were no other options at that time for us to evaluate. We tested all of the rackets and string combinations under each condition: fixed, hanging from a rope, and held by a human. Following our biomechanical analyses, we presented our results to the AMF engineers. We showed them that the “sweet spot” is not in the geometrical center of the racket when a ball hits the face. The actual location is located closer to the hand which means that when a player hits a tennis ball, the racket will turn in the hand contributing to tennis elbow. We recommended some suggestions to remedy the situation. One of our ideas was to enlarge the racket head and, if possible, eliminate the shaft. In other words, make a racket with a handle with a short shaft and a large circular racket head. A second proposal was to develop a handle that allowed the shaft to turn or twist within the handle, but not transmit the forces up the arm to the elbow. When we had described the situation to him, Ann’s father invented just such a handle. He was quite an amateur inventor, or “tinkerer” as he called it, and had devised this prototype solution as an idea he had to solve the torque transmissions. Another project which AMF brought to us was known as the “three-wheeled vehicle”. The device resembled a tricycle except that the rider stood up on foot-sized pedals and then guided the vehicle by turning the tall handle bars. Movement was created merely by shifting the weight of the rider from side to side much like a speed skater does. Stopping the vehicle required pushing the foot pedals supports down with the heels. We probably had more fun with the project than any of our other ones! All of the staff would ride around the building, darting between people and cars and whizzing past the obstacles we arranged in the parking lot behind the building. Luckily, we had no accidents with surprised drivers backing out of their parking spots. However, there were some near accidents on the busy road in front of our lab by rubber-necking drivers so we were again visited by the local police. They were always entertained by our current projects but insisted, in the interest of public safety, that we should ride behind the building rather than in front. Then they tried riding the vehicles and had as much fun as we did. We found that the vehicle was a very efficient devices, quiet, and safe. There were no problems with tipping over such as one could experience with a two-wheeled bike and they were only as fast as human power could generate. They were especially useful on smooth flat surfaces such as linoleum floors commonly used in factories, airline terminals, and malls. AMF was pleased with our findings and left our office with dreams of adding to their “weekend” fun theme. We continued to work on projects at CBA, I was busy with my computer science studies, and Ann was working on her own doctor project. That is to say, ordinary life went on until one day I was visited by one of my greatest heroes, Al Oerter. The athlete whose picture had hung above my bed in Hadassim after he won his Helsinki medals in 1952 and Melbourne in 1956, who beat me in the Rome Olympics in 1960 and in the Tokyo Olympics in 1964, was visiting me in my own lab. It is impossible to describe the admiration and awe I felt about Al and the joy and excitement must have been palpable. Al wanted my assistance to improve his discus throw so he could make the 1980 Olympics in Moscow at the tender age of 44. I assured him that we would do everything possible to help him accomplish this goal. We worked intensely. We filmed him as he threw the discus and we had him execute some special tests on the force plate. Our biomechanical studies showed that, even at 44, his strength and speed could be focused correctly and he could break the World Record. Al, a computer engineer himself, watched himself on our computer screen as we presented the biomechanical results. He was able to see how much better he could perform with some minor modifications in his technique. Al was such a great athlete that he was able to master these changes and continued to train. Unfortunately, President Carter prevented the US from participating in the Olympics in Moscow and this boycott ended the Olympics dreams of many Western athletes as other nations also decided not to participate. Despite this emotional setback. 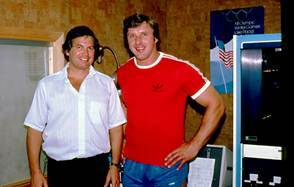 Al and I continued to train so he could participate in the 1984 Olympics which were to be held in Los Angeles. By now, we had hundreds of world class athletes coming to our lab from all over the world. 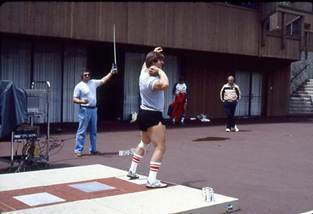 Here are two World Record Holders in the Shot, Al Feuerbach, and the discus, Mac Wilkins. 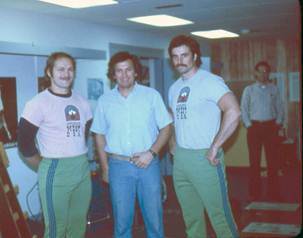 In 1976, a group from Sports Illustrated unexpectedly visited the CBA laboratory. I was teaching a class at the University at the time and knew nothing about this surprise visit. Ann came out of her office to talk with them and they explained to Ann that they wanted to do an article about me and my technology. One of the first questions which Ann asked was how many days it would take as we were buried in projects. The answer to her question was that they expected to need 3 to 5 days. “Don’t worry you do not have to pay Sports Illustrated to do an article on you,” Kenny Moore responded. “I am sure you are correct but, unfortunately, we are unable to invest so much time in advertising. For us, time away from our projects puts our productivity and credibility with our customers at risk. When we promise to deliver result on time, we always honor our word. If we have to take time away from our work, it cost us the amount I mentioned to you. We love Sports Illustrated and read it all the time, but at this point, we really cannot afford to invest this time in advertising. 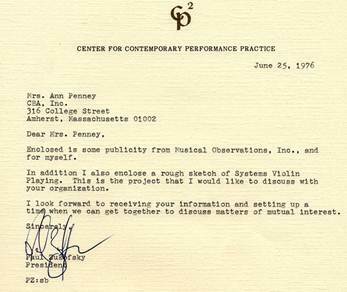 Thank you for your interest but I am sorry to have to say ‘No”.” Ann responded. Kenny Moor and his team shook hands with her, not believing what had just happened, and left the lab. I was ecstatic and assured Kenny that he would find our laboratory, projects, and me to be fascinating. I thanked him for reconsidering us and for finding a way to resolve the financial dilemma. We set a date for them to come to the office. I could not believe it. Ann had right…..again. This article provided worldwide interest and the cache of Sports Illustrated yielded an authenticity which continues today. Sports Illustrated outlined in detail the methods we used and some of the projects that we had completed. One aspect of the article was that Sports Illustrated interviewed some of the athletes and quoted them as to how much they appreciated our help in improving their results. It was a very positive article for us. So our business was firmly established. 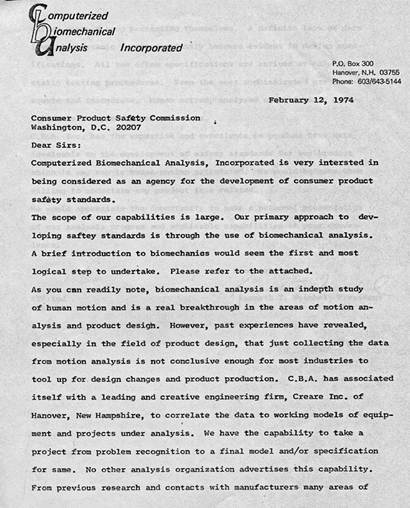 Our name, as the first and only biomechanical company, was becoming well-known. We continued to work on business projects, class and doctoral studies, and, of course, exercised every day. However, sometimes it rains on the parade. Generated on 4/18/2019 8:07:07 AM (PST) ADI/HQ/GBA/2019/ARIELCLOUD/v3.0.2018.0126.